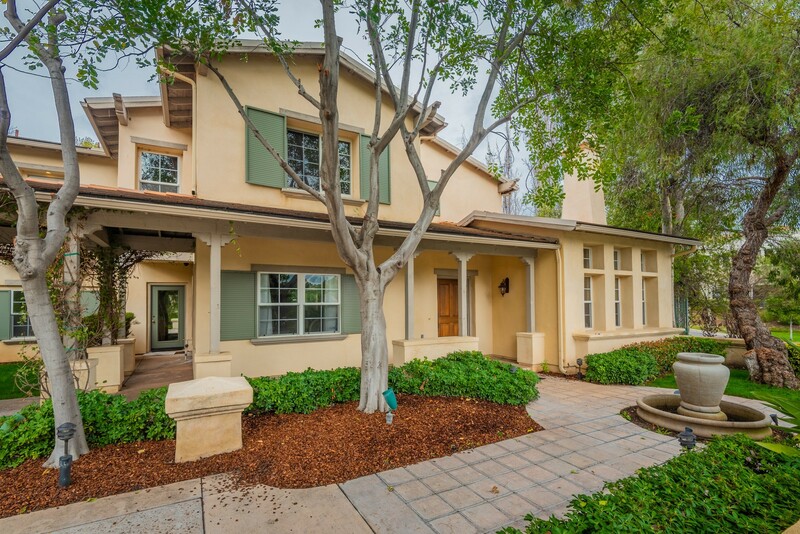 Gorgeous South Redlands 6 bedrooms, 5 bathrooms w/ 4,094 sqft of living space. This is a Former Builder Model Home! Beautiful formal living room with fireplace and wood beam ceilings, formal dining room, large family room w/ fireplace, built in cabinets and entertainment center, sliding glass door leading to the beautiful backyard with lush landscaping, covered patio, built in BBQ, plenty of privacy, no neighbors in the back and side overlooking the greenbelt. Family room is open to the kitchen with stainless steel appliances, island, walk-in pantry & built in subzero refrigerator. Downstairs guest suite perfect for in-laws or guests, built in home office. Huge master bedroom with fireplace and patio overlooking the lush landscaping, perfect place to enjoy your morning coffee or evening wine. Large walk in closet, dual sinks and vanities, jacuzzi tub and separate shower. Upstairs loft/2nd living room with small kitchenette which includes sink, refrigerator and microwave with separate outdoor entrance w/ 2 patios, 2 bedrooms and bathroom on this side of the house. This is the ideal place for long term guests or multi family seeking privacy. This executive home is located in the sought after and highly rated Mariposa elementary in the Redlands School District. Convenient location close to freeway make this a commuters dream home! Beautifully maintained and updated with new carpet, new paint, new bathroom floors and the list goes on. Don't miss it! Thinking about selling? Get in touch with us! Thanks for taking the time to visit my website. If you would briefly introduce yourself by filling out the fields below, I would be more than happy to answer any questions or requests you may have. Thanks again for stopping by and I look forward to working with you. Thank You ! Your Message has been sent! Owner financing is available. BULK SALE.....The listing includes two parcel in Desert Hot springs with a home on one parcel. This is a Palm tree farm (fan Palms 2 varieties, Date Palms not mature yet) apn#654-150-004 & 006 Riverside County. Then 4 parcels in Desert Center 74.14 ac total apn# 807700002, 003,004 & 005 Riverside county Property has a well however it is not in working condition. Hwy frontage on 2 sides. 1 parcel in Lucern Valley Ca. San Bernardino County 28.6 net ac. no improvements The Date Palms in at Desert Hot Springs each have multiple suckers on each tree, It would be idea to transplant them to Desert Center and grow them to maturity to harvest the dates. Client will consider selling separately and may do owner financing depending on terms. Sunset Hills lives up to it’s name at this South facing home! Beautiful unobscured 180 degree views of San Timoteo Canyon. Approximatley 4,200 square foot home with 5 bedrooms and 3.5 baths. Downstairs guest suite and dedicated home office. Custom hand painted cabinets in kitchen, laundry room and all bathrooms. Hand painted Malibu tile kitchen backsplash, granite kitchen countertops. Porcelain wood like tile, Wrought iron dual staircase, Oversized game room all found with this Sunset Hills floor plan. Sport Enthusiast? The backyard was designed with you in mind! Golf putting green with 4 pitching pads (2 on slope), bocce ball and horseshoe courts, plenty of grass for soccer, baseball, volleyball, football! Entertainer’s Delight! Approximately 750 sq. Ft. massive covered patio, outdoor kitchen plus pergola. Custom hand painted Malibu tile featured throughout front and back hardscape. Spanish concrete tile front and back patio decks. Approximately ¾ acre lot with lots of shade, drought tolerant landscaping and xeriscaped front yard. Excellent Redlands Unified Schools – Kimberly Elementary, Cope Middle and Redlands High - are 7 to 11 minutes away. Just step out your front door, walk, run or ride your mountain bike a half mile west and be at the San Timoteo Nature Sanctuary! Head east half a mile and you are on the Creekside Trail. Enjoy amazing sunrises and awe-inspiring sunsets as well as gentle breezes, great hikes and incredible views all day long! Custom Sunset Drive home with views in every direction! Great in-law suite or independent living potential with bedroom and full bathroom plus bonus room with wet bar and private entrance on the lower level. On the main level there is so much room for entertaining! Formal living room, grand entrance, formal dining room, and huge kitchen with a work island, walk in pantry, granite counters, two dishwashers, built in refrigerator, peninsula with seating, all opening to the family room that has a balcony with views overlooking the fenced backyard and valley below. Upstairs at one end of the house are two bedrooms and a bathroom, and a storage room for luggage and holiday decorations. The other end has a serene office with balcony and more lovely views, another bedroom with attached bathroom and then the master suite. The master bedroom has a walk in closet, private balcony, a sitting area, fireplace and an over-sized bathroom with separate shower and jetted tub. This custom beauty even has a laundry chute leading to the over-sized laundry room with sink and lots of storage on the main floor. Sellers moved there offices to a new building and wish to sell becuase they do not require two locations. Property is currently being leased out to a Birthing/Wellness Center. Offices and Special events center. The building was original use was a Church and can still be utilized as a church according to zoning. (buyer to Verify) Just off Yucaipa Blvd makes this a High Traffic high exposure location. 34 parking spaces on site with view over the city looking W from the upper floor. Handicapped access to the second level was put in during remodel a few years ago. If you have been looking for income property with tenants in place or a event center come take a look. Freeway frontage with great visibility two parcel total 3.67 ac. Comes with a Bill Board Tenant that pays $1,000 per month for a supplimental income. Parcels included in the purchase are 0318-214-07-0000 and 0318-214-09-0000 Zoning is CI (commercial/industrial) This zoning allows for commercial and light Industrial uses. (Buyer to Verify intended use with the City of Yucaipa) Potential for contractors yard, Auto related business, Retail etc.... Buyer will consider owner carry depending on terms. Welcome to 4.7 acres of prime land. "City of Yucaipa has approved new zoning". The home has 3 bedrooms, 2 bathrooms. The home has a very open floor plan. You can prepare meals and see everyone in the living and dining areas. The bedrooms are very spacious. In door laundry with a large sink. Tile in entry /Living room and kitchen as well as hall, bath and laundry. One bedroom has a bamboo floor, one is carpet and the third is laminate. Drought tolerant lawn. Newly added 3 citrus trees (navel, mandarin, blood orange) 3 fruit trees (cherry, peach, plum) and flower beds.Plenty of water access everywhere all the way to the back of the property; 1.5 Piping and 1 and a quarter from street. Back flow valve installed. This is a flat, fenced Lot. Horse property, comes with a Tack and Covered Area for your horses or other animals " This property is centralized in a quiet area that's near schools, colleges, shopping, restaurants, etc. easy freeway access. The city of Yucaipa is booming. There are a lot of plans for expansion. HUGE PRICE REDUCTIONS, MOTIVATED SELLER. BRING ALL OFFERS. Welcome to this Historic Colonial Estate!! Built in 1925 and located in the "Woods Streets" neighborhood and yes, this address would make you a proud owner and give you "bragging" rights. Impeccably cared for and tastefully upgraded in bathrooms and kitchen, this parklike setting gives this home that warm and fuzzy feeling we all desire. Beware......as you pull through the front gates and see this jewel you will immediately fall in love so be prepared to pull out the checkbook. While the love affair begins on first sight, it continues as you enter the home and see the original hardwood floors, awesome staircase, multiple fireplaces, pocket doors, glass door knobs and the list goes on and on......and it doesn't stop there. As you venture out to the backyard it continues to tug on your heart strings with the sparkling pool and outdoor red brick fireplace and barbeque and screams out "let's have a party". I could write a book about this house but will let the pictures tell the story. ENJOY!!!! Breathtaking views of the valley, mountains and city lights. Nestled in the hills of Redlands, this gorgeous 4 bedroom, 2 bathroom pool home is situated on 1.5 acres and offers unrivaled privacy and tranquility. The expansive back yard is a true entertainer’s delight which boasts a gorgeous salt water pool with a swim-up bar, a built-in BBQ with a sitting/conversation area, additional bar seating and stunning scenic views. Whether you are enjoying a quiet evening relaxing in the spa overlooking the city light views or hosting a party, you’re guaranteed a memorable experience. This beautifully appointed home features an open floor plan with a formal dining room, living room with fireplace, vaulted ceilings, new pella 450 series windows and sliding glass doors, recessed lighting, ceiling fans, tile floors, updated AC and water heater. The kitchen has been updated with timeless white cabinets, granite counter tops, stainless steel appliances and a breakfast bar that opens to the living room. All bedrooms are very spacious and there is a huge separate laundry room with lots of cabinets for additional storage. The oversized 3 car garage, with a pull-through feature, offers plenty of room for multiple cars, a boat and even a workshop. Properties like these in a premier location which offer great in-door and out-door living, don't come on the market very often so call today for a private showing. You won’t t be disappointed! Rare. Two homes / buildings are included on the property / lot; the home on the corner of Fern and Eureka a large home which is currently used as four units with 2,620-Sq.Ft. A second home along Eureka is currently unfinished with two units and a common laundry room with 2,228-Sq.Ft. The front property is a large, two-story Transitional House including a hipped roof with lower offset hipped roofs, and a front hipped dormer. The home also has an amazing two-story octagon corner tower with a turret cap on the left hand side. A large wrapped porch covers the front and side of the house. There is an inset balcony above the entrance with a low shingled rail and wide eaves. The 124 W Fern Ave home retains its turn-of-the century character with established trees, and cut stone curb. Within walking distance of the Redlands Bowl, Smiley Park, Smiley Library, and downtown Redlands. This property is a must see. Arrowhead Lake Rights! This is a spacious, move in ready home! Warm up by one of the 3 gas fire places. It's situated on over .50 acre, with views that live up to the street address. Enjoy the breathtaking mountain scenery from the new, main floor deck, or the separate new deck connecting to the master bedroom. 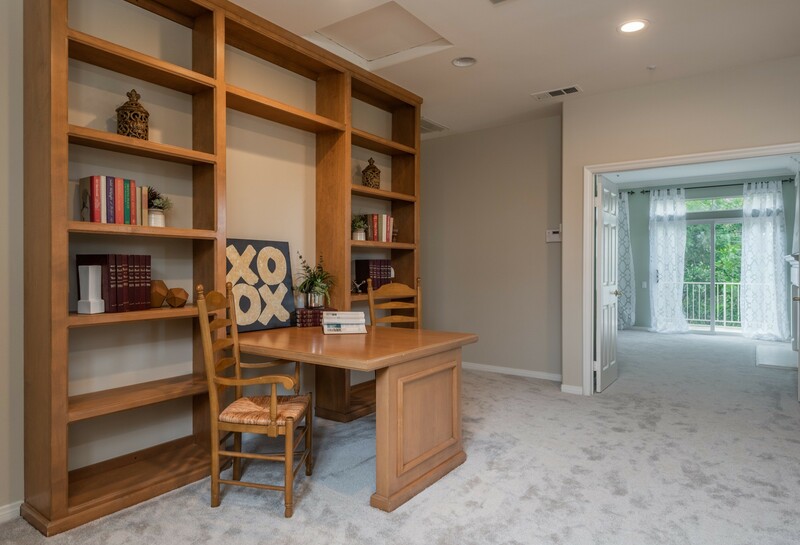 There is a large bonus room/office downstairs that can easily be converted into a fourth bedroom. Park your toys on level parking, or in the 3 car garage. There is also additional parking for a large R.V., and a large flat pad adjacent to the home. The hardwood kitchen/dining area is open to the family room, and great for entertaining. The home includes new garage doors, a new roof, new exterior paint, and new carpet/paint throughout. Extra storage can be found in the partial basement with exterior access to the fenced in backyard. This is a great area for a full-time home, or vacation getaway, as it lies on a maintained road, and is easily accessible. Beautifully Remodeled 4 bed 2 bath single story ranch style home for sale. 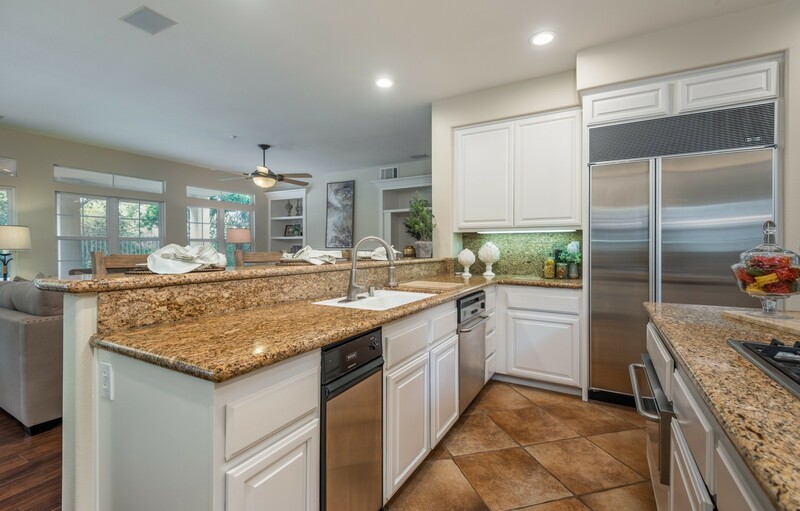 Upon entering the front door you will be greeted by the stunning hardwood floors and a completely remodeled kitchen with high-end white cabinets, stainless steel appliances granite counter-tops, custom glass tile backslash and upgraded tile flooring. The kitchen is open to the large dining room and family room. The family room features a beautiful brick fireplace and provides access to the large back yard with covered patio. Down the hall you will find access to the large guest bedrooms and the master suite. Both the master and guest bathrooms have been completely remodeled with upgraded materials and expert craftsmanship. The master bathroom has a new over-sized vanity with granite counters and a custom shower made with timeless subway tile and custom glass door. The large fully fenced back yard features a covered patio, fire-pit, a large grass area and ample space in the side yards. Additional features include: 2-car attached garage, large driveway, upgraded windows, potential r.v. parking and concrete tile roof. Traditional meets Mid Century Modern in this beautiful 5 Bedrooms 4.5 Bathrooms features over 3,500sqft with pool and spa and the best part: it's located just one block to LLUMC (Loma Linda University Medical Center) Home has been beautifully remodeled, fresh paint, easy to maintain laminate wood floors, huge kitchen with granite counter tops, lots of storage and counter space. As you walk in you will find a formal living, dinning room, large family and library with sky lights and lots of windows for natural light. Lost of built in cabinets, indoor laundry room, attached 2 car garage. There are 4 bedrooms and 3.5 bathrooms downstairs and upstairs there's a huge bonus/loft or second living room, master bedroom, huge master bathroom and 2 walk-in closets. Wrap around deck upstairs overlooking the city. This home is the ideal set up for a board and care or to rent out individual rooms. Home is handicap accessible. These homes don't come on the market often, don't miss this opportunity. 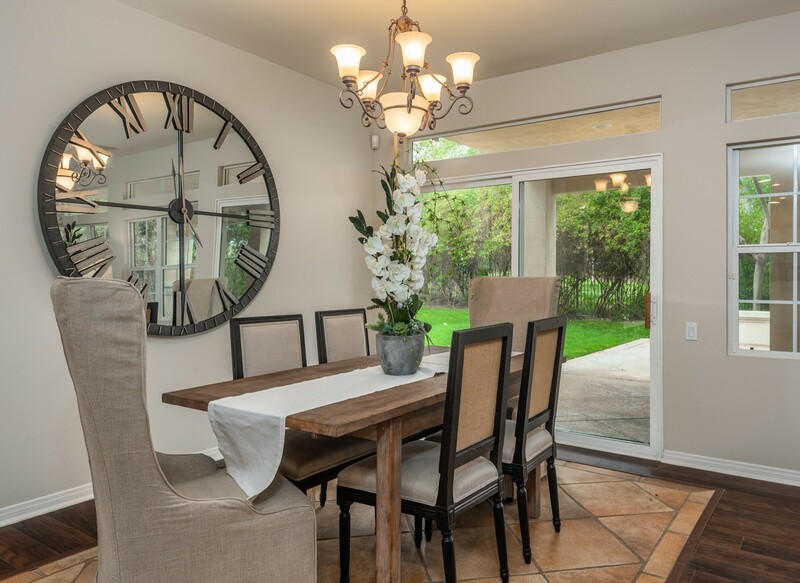 Welcome to your estate home in the Ventana Entrada community. Once entering the home the warm color palette is soothing to the eye. Formal living and dining rooms. Long hallways. French doors open to an enchanting courtyard with a refreshing fountain for your relaxing and unwinding. A bonus room that could be used for a piano also opens to the courtyard. The dining room has a cloud like ceiling that takes you away and gives you a Venetian atmosphere. Fireplaces add for a warm and welcoming feeling inside. Crown molding, recessed lighting and shutters throughout. A large kitchen that open to the family room. The kitchen has a lot of cabinet space, a double oven and a large island for extra prep space for your avid bakers. A walk in pantry. Upstairs you have a large loft that you could use as a game room or you choose. The upstairs hall also serves as an additional work space. 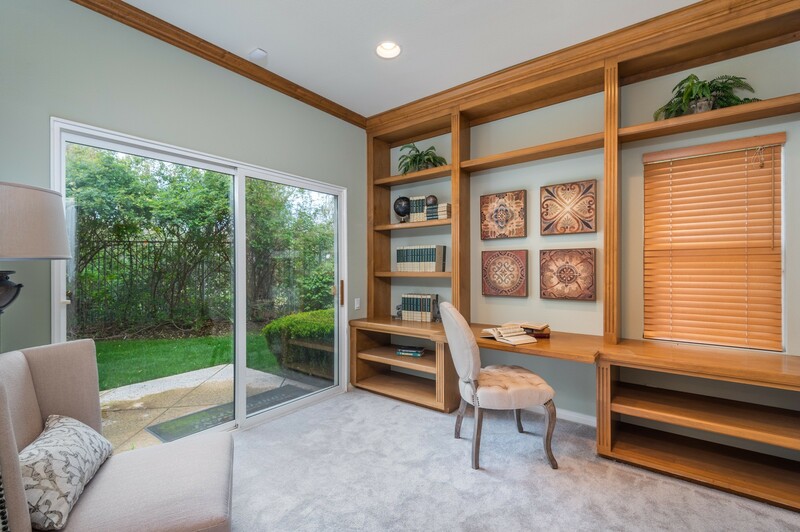 A built-in work area is already here for you. All bedrooms are upstairs. They all provide good closet space. The master suite is expansive. The master bathroom has a luxurious tub for those long awaited soakings. This can be your dream room. The backyard has a covered patio with a built in barbecue, a gas fire pit and a Lion fountain. This home is located in the highly desired Redlands School District. No HOA. Wonderful Indian Knolls Custom built home! Feature a grand entry with double doors that lead you to the foyer with marble floors and beautiful chandeliers. Large formal living room with fireplace and lots of windows for natural light. Huge family room with another fireplace and sliding glass door going to the beautiful back yard. House sits on almost 1/2 acre. Attached 3 car garage with direct access to the house. Spacious kitchen with island, large separate laundry room. Upstairs you will find a loft, two master bedrooms, a huge master suite with deck overlooking the beautiful backyard with lots of trees, makes you feel like you're in the mountains. All the bedrooms are very large. Home is located just 2 miles from Loma Linda University. Easy access to the 10 and 210 freeways! Welcome to 1755 Illinois Ave, a Dutch Colonial Revival, a large historical home located in desirable neighborhood Riverside. 4 large bedrooms, 1 1/2 bathrooms, dining room, (4th bedroom is currently used as den / TV room), spacious kitchen, front porch and large front balcony, large side yard with all red brick, large gazebo with concrete floor. Hardwood floors and tile trough out the home. Fresh new interior and exterior paint makes this home feel just like new! Amazing walk in food pantry off the kitchen including a separate dish pantry with many cupboards and storage. Downstairs bathroom has a unique separate mudroom for changing. Also, a footed soaking tub and separate glass shower with an amazing built in vanity. Wide solid wood casing around the doors and windows, amazing hardwood flooring and the double-hung sash windows impart the style within. Back outside staircase to closed in porch. Huge driveway with lots of space for parking, RV’s, toys, or multiple vehicles. Large detached work shop/ garage. Front iron fence styled from Riverside Heritage house. Large tuff shed on concrete slab. Mature orange trees, an apple tree, and a fig tree. Three minutes (1.3) miles from UCR, 6 minutes (2.5) miles from RCC, one minute (.4) miles from Emerson Elementary, two minutes (1.2) miles from Lincoln High school, three minutes (1.2) miles from North High school. Close to downtown and shopping. Centrally located, within a few miles from the 60, 215, and the 91 freeway. 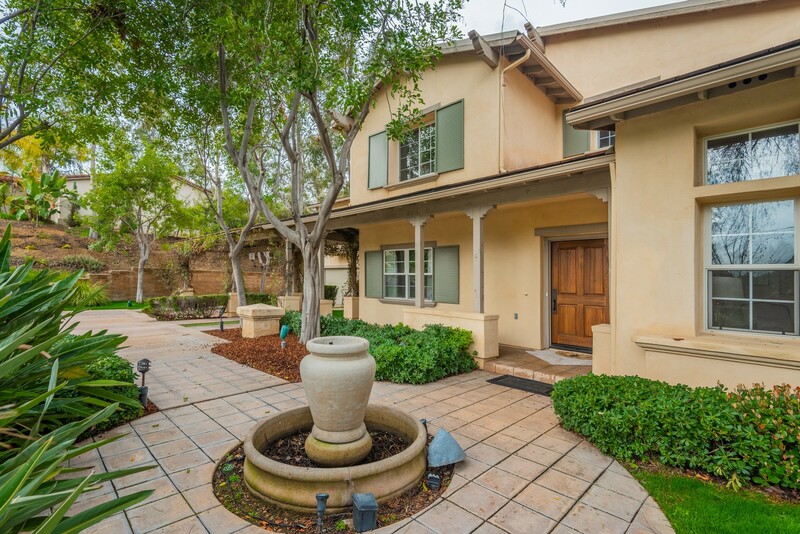 Here's an adorable single story in the Upland Hills Estates gated community. This 3 bedroom and 2 bath home has 1615 sqft of living space, and is on the Upland Hills Country Club golf course. The house as updated flooring and shutters, and the kitchen has granite counter tops, tile backsplash, and tile flooring, also upgraded to recessed lighting. The living room is spacious, and has wood flooring, and has a fire place. The Master bedroom has a vaulted ceiling, wood flooring, shutters, and a view of the golf course. There are two additional bedrooms with shutters and wood flooring, with one having vaulted ceiling and a private patio. The guest bathroom has a new $22k therapeutic walk-in tub. The backyard has a stunning view of the golf course. The Community features include three pools and spas, tennis court, and picnic area, gated entrance, club house and golf course. WOW!! LOOK AT THIS ABSOLUTELY BEAUTIFUL BRAND NEW REMOLDED HOUSE!! AMAZING ALL NEWLEY REMOLDED 2016 CONSTRUCTION!! EVERYTHING FROM ROOF TO FLOORS IS COMPLETELY BRAND NEW!! NEW WINDOWS! NEW PLUMBING! NEW ELECTRICAL! NEW CENTRAL AIR AND HEAT! ALL NEW FIXTURES! NEW WATER HEATER! ALL NEW KITCHEN WITH QUARTZ COUNTERTOPS! WIRED FOR CEILING FANS THROUGHOUT! WHOLE HOUSE FIRE SPRINKLER SYSTEM! NEW CEMENT DRIVEWAYS AND WALKWAYS! NEWLY LANDSCAPED! CLOSE TO GREAT SCHOOLS AND SHOPPING! LOCATION! LOCATION! LOCATION! CALL FOR AN APPOINTMENT TODAY! HARD TO FIND move in ready Chapman Heights home. 4 bedrooms and 3 baths. One of the bedrooms and bath is downstairs. There is an open kitchen with breakfast nook and living room with a fireplace. There is also a formal dinning and family room. Upstairs there is a loft with balcony overlooking the beautiful neighborhood. Out back you will find a serene pool and spa along with an awesome built in BBQ. There is so much room for entertaining or you can have a nice relaxing quiet weekend in your own little slice of paradise. Location! Location! Location! walking distance to Loma Linda University Medical Center. This gorgeous single story features 3 bedrooms 2.5 bathrooms attached oversized garage (552 sqft) with a pull-through to the backyard. Beautifully updated Kitchen with granite counter tops, double oven, large walk in pantry, lots of cabinets and counter space, recessed lighting, kitchen is open to the family room with gorgeous wood beam ceilings. Sliding glass door leads too the huge backyard all flat useable, with plenty of room for a pool, garden and kids and pets to play. Spacious living room with fireplace, lots of windows where you can enjoy the views! Updates include hardwood floors, crown moldings, baseboards, plumbing/piping, electrical etc. Bathrooms have been updated with beautiful travertine, huge master bedroom and bathroom with jetted tub and separate shower. Home sits on over a quarter acre lot (14,560 sqft) Prime location, close to hospital, church, schools and shopping. MADE FOR ENTERTAINING! This stunning 3 bedroom, 2 ½ bath home is located at the end of a beautiful Redlands cul-de-sac. The property boasts 2,355 square feet of living space. Inside the front door you find a large living room/dining room combination room with recessed lighting which creates the perfect amount of ambiance. 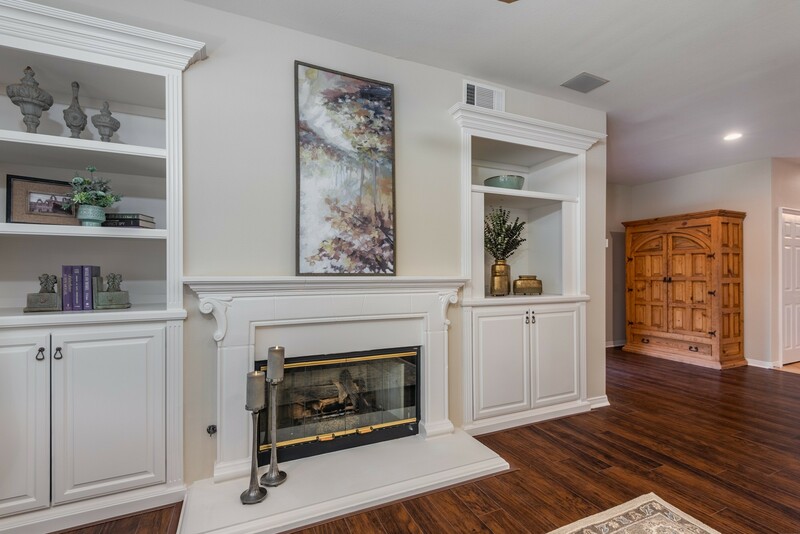 The family room which is open to the kitchen showcases a gorgeous stone fireplace and media cabinet. 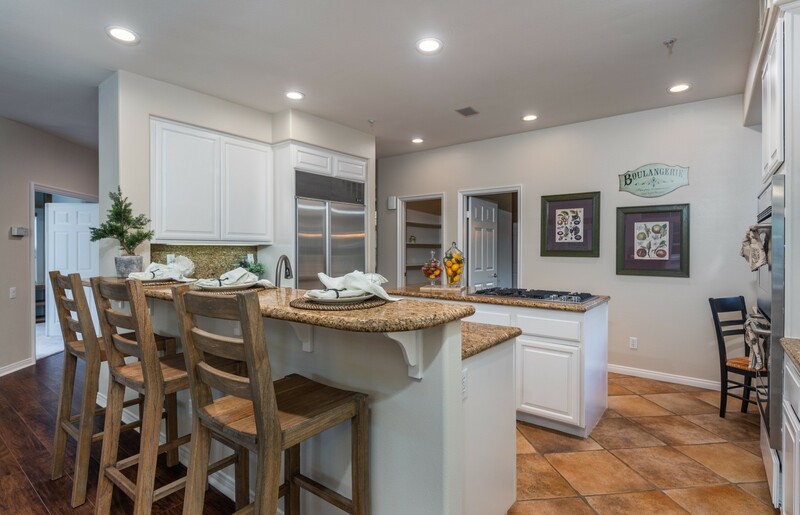 The large kitchen has beautiful tile floors, granite countertops, tons of storage space and a large square island perfect for food prep. Upstairs, there is a closed in loft that could easily be converted into a 4TH BEDROOM, The bathrooms feature granite countertops, The master bedroom is spacious and has lots of natural light. 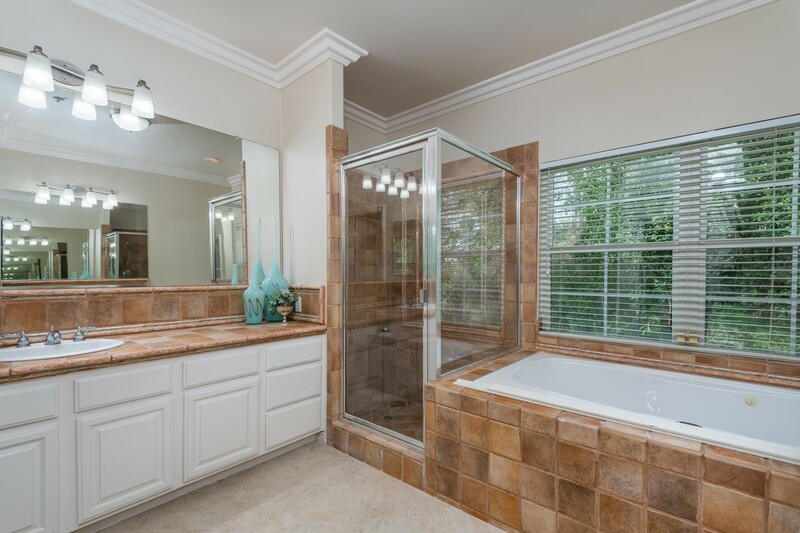 The master bath features separate tub and shower and dual sinks. There is a large walk-in closet in the master bedroom that includes a wire closet organizing system. All bedrooms are nice sized with custom painted accent walls and lots of light from the plantation shuttered windows. READY FOR SUMMER? Step out back into your own tropical oasis with a gorgeous gunite pool and jacuzzi with rock structures, special lighting, waterfalls and slide.The covered patio features a built-in outdoor kitchen, bar and dining area. There is even an outdoor fireplace/conversation area. The charming children’s play area has shade tarps, swings, slide and climbing features. This home is truly PERFECT for summer! One look and you'll fall in love with this beautiful Spanish style 4 bedrooms 2 bathrooms located in Woodcrest. Gorgeous custom updates floor to ceiling. New white kitchen cabinets, quartz counter tops, beautiful custom backsplash. Large kitchen with peninsula, glass door leading to the huge backyard with cover patio. Home features beautiful hand scraped laminate wood floors, new carpet in bedrooms, new paint inside and out, new baseboards, new light fixtures.. Home features an open floor plan, living room with fireplace and a huge bonus room, great place to entertain. New bathroom cabinets, tile work, lighting and mirrors. The home is fenced in with wrought iron fence in the front and electric gate. Charming front with spanish arches and covered porch. Home sits on a huge lot of .33 acres (14374 SF) flat and usable. Convenient location close to shopping. Don't miss it! Rural setting in the city! Beautiful Spanish style 4 bedrooms 2 bathrooms located in Woodcrest. Gorgeous custom updates floor to ceiling. New white kitchen cabinets, quartz counter tops, beautiful custom backsplash. Large kitchen with peninsula, glass door leading to the huge backyard with cover patio. Home features beautiful hand scraped laminate wood floors, new carpet in bedrooms, new paint inside and out, new baseboards, new light fixtures.. Home features an open floor plan, living room with fireplace and a huge bonus room, great place to entertain. New bathroom cabinets, tile work, lighting and mirrors. The home is fenced in with wrought iron fence in the front and electric gate. Charming front with spanish arches and covered porch. Home sits on a huge lot of .33 acres (14374 SF) flat and usable. Home is located on a quiet cul-de-sac street. Zoning is light agricultural great place if you want to grow animals. Convenient location close to shopping. Don't miss it! WOW, WOW, WOW!! You Will LOVE This One! Wall of Windows Brings in the Incredible Distant Trees Views, Golf Course Views and even Views of Grass Valley Lake! Just the Right Amount of Rustic in this Custom Bungalow with 4 Bedrooms & a Loft to Accommodate the Whole Family! Level Entry into this Cutie, Tastefully Remodeled Kitchen and Baths, Great Deck for Entertaining! This is the One that Makes You Say 'WOW" when You Open the Front Door. Come & See Before it's GONE! COMES FURNISHED per Inventory. Remarkable upgraded two story home centrally located in East Los Angeles, just minutes away from downtown. Showcasing 2 bedrooms, 2 baths, a completely fenced 7,900 sq. ft lot, and a LOW tax rate. 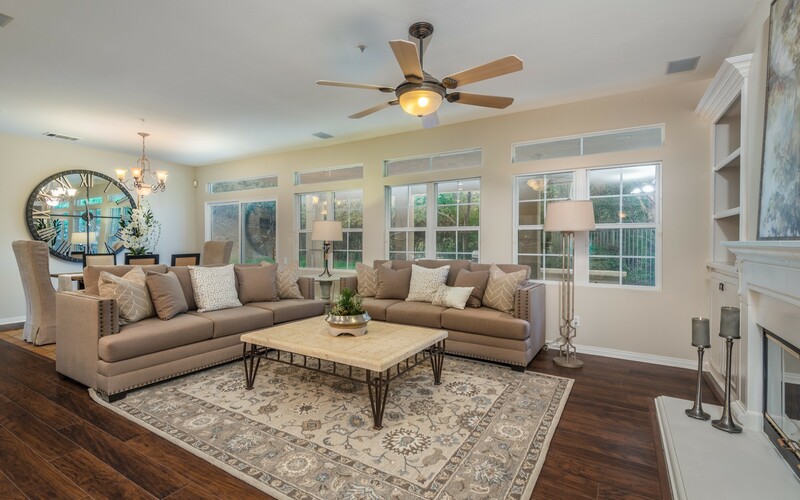 Upon entering the home we are greeted by the living room with new tile floors and lots of natural lighting with a dual pane sliding glass door that leads to the backyard. 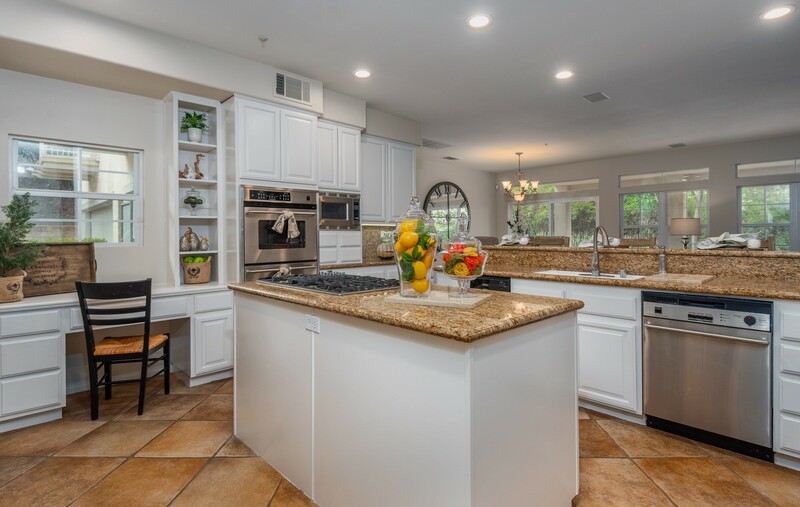 The kitchen is open to the living area and features brand new stainless steel appliances (to be installed before close of escrow), granite countertops and new kitchen cabinets with plenty of storage space. The upstairs master bedroom features an on-suite master bath complete with a stand up shower. The master bedroom also features an outdoor patio great for entertaining guest or enjoying a cup of coffee. All conveniently located close to Cal State University, shopping, dining, schools, with easy access to the 10, & 710 freeways. Modern meets traditional! Views! Views! Views! This home is truly magnificent! Breathtaking views from every window. Features 4 bedrooms, 2 bathrooms. Huge master suite with large deck overlooking the valley and city lights views. Open floor, with wood flooring throughout, vaulted ceilings with beautiful wood beams, kitchen has custom cabinets and stainless steel appliances, double oven and two gas stove tops, granite counter tops and custom back splash. Kitchen island overlooking the living room with fireplace. Large walk in pantry, dinning area. Large 3 car garage with direct access, storage shed for all your tools. Beautiful wooden deck for your outdoor entertaining and BBQ. Beautifully updated bathroom with timeless white tile, separate shower, huge tub with window overlooking the city and hills. Home sits on almost one acre, with plenty of room for cars, boats, toys. This is a one of a kind property! Don't miss it! Located in the heart of Rancho Mirage Cove and a short walk to the river! This Classic modern home sits on an over-sized corner lot with beautiful mountain views. Home features 3 bedrooms 3 bathrooms. Open floor-plan with a large living room, den, dining area and huge covered patio is a great place for BBQ and entertaining area. Great floor-plan with two master suites, one at each end of the home with direct pool access from each bedroom. Large back yard with pool and spa and gorgeous mountain views. RV Parking, attached garage with direct access and so much more. Welcome to this TURNKEY POOL home located in the Gated Community of Tournament Hills. This home features 4 beds 3 baths one of which is downstairs with a bathroom close by and two bonus rooms/office spaces downstairs that could be converted into bedrooms as well. This open floor plan is great for entertaining with its vaulted ceilings, massive loft area and incredible custom built in entertainment system. Additionally there is pre-installed wiring for music distribution inside and outside and has pre-installed wiring for a security system. The beautifully upgraded kitchen features cherry finished cabinets, granite countertops, with a massive island and a Kitchen Aid induction stove top (with the option to be converted back to gas). Additional upgrades include, 20” rectified porcelain tile throughout the home, elegant cherrywood staircase with wrought iron balusters, a whole house water softener, reverse osmosis water filter servicing the kitchen and custom window shutters throughout the interior. The executive master bedroom features a soaking tub, separate shower, large walk in closet with built in shelving and upgraded countertops. This low maintenance backyard has a 18’x36’ pool with an in ground spa, an Alumawood covered patio, stamped concrete throughout and a natural gas fire pit to enjoy evenings under the stars. The community also offers a walking path alongside the lake and a security service that routinely monitors the neighborhood. This is a beautiful, log-style cabin tucked amongst pines in secluded Moonridge with endless mountain views. The South-facing, level entry is a rarity in the hills of Moonridge, and will make Winters easier to deal with than most other homes in the area. Two large decks allow for great entertaining while taking in the fresh mountain air as the wind blows through the immense and plentiful pine and oak trees that surround you. This home is only minutes from the ski slopes, the golf course, and the new zoo site. This One Will Make You Say WOW!!! Adorable GOLF COURSE HOME w/Fantastic Views! So Light & Airy! Simple & Clean. HUGE WINDOWS to Bring in the Views! Updated Kitchen with Plenty of Cabinets, Stainless Steel Appliances & Even a Wine Cooler. Close to Level Entry, Partially Fenced Backyard, Mancave or Gameroom too! Loft Master Bedroom w/Bath & Walk-in Closet. 2 Bedrooms on Main Level with Full Bath. Easy Living Here! You Definitely Don't Want to Miss This One!! Spacious Redlands home built in 2005, features 4 bedrooms 3 baths with 1 Bedroom and Bathroom downstairs. Large living room with separate family room open to the kitchen. Huge back yard, beautifully landscaped with grass, fruit and palm trees. Covered patio, backyard is all flat with plenty of room for a pool or gardening. Upstairs you will find 3 bedrooms, 2 bathrooms, laundry room and a large loft, perfect for home office, playroom or extra TV room. Large master bedroom with doors going out to the deck where you can enjoy your morning coffee or evening tea. Home is located on a cul-de-sac in Blossom Heights. Large master bedroom with walk in closet dual sinks, separate shower and tub. This home is perfect for BBQ and entertaining. Amazing Pool Home! Single story features 4 bedrooms 2 bathrooms 3 gar garage located on a cul-de-sac on a private driveway shared by only 2 homes. Home has been updated with new beautiful laminate wood floors in the living areas and carpet in the bedrooms, new paint inside and out, new baseboards, light fixtures. 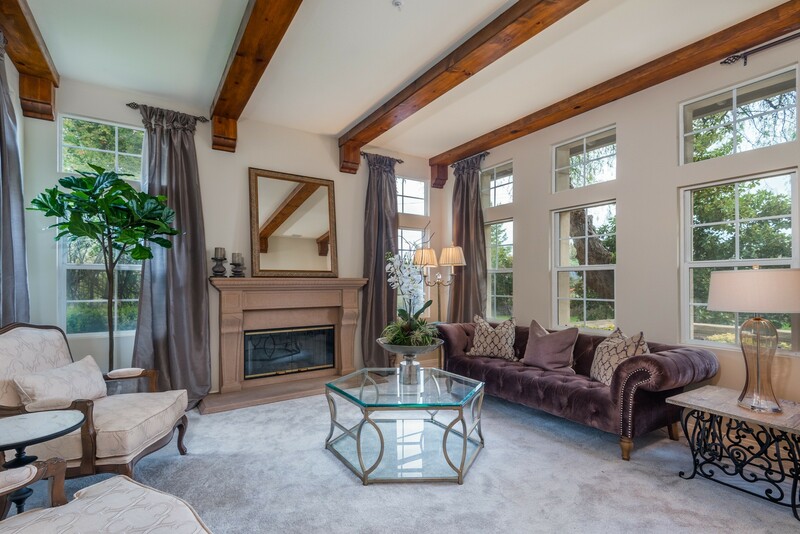 Large formal living room with cathedral ceilings, fireplace and lots of windows for natural light. Separate family room open to the kitchen with white cabinets, granite counter tops, new stainless steel appliances, lots of cabinets with plenty of storage and counter space. Sliding glass door leads you to the gorgeous backyard with pool, spa, fire-pit, built in BBQ, lots of trees and plenty of privacy make this the ideal place to entertain and enjoy life. Beautiful ranch style 3 bedrooms 2 bathrooms plus a bonus room, perfect for a home office/den or kids playroom. Attached 2 car garage with direct access. Home has been updated with new Kitchen cabinets, granite counter tops, new light fixtures, new paint inside and out. Some newer dual pane windows. Easy to maintain tile floors throughout the house, open floor plan with lots of windows for natural light, spacious living room with brick fireplace. Home is located on a huge lot of almost half acre (16,117SQFT = 0.37 acres) Home sits back away from the street and has a circular driveway, with plenty of parking, room for boat RV and all your toys. Large Home located only 3.4 miles from Loma Linda University Medical Center. Features 2,760 sqft, vaulted ceilings, skylights, living room, family room open to kitchen, indoor laundry room, easy to maintain hardwood and laminate wood floors throughout the house. Large master bedroom with walk in closet, french doors leading to the patio overlooking the beautiful back yard with lots of flowers, plants and fruit trees. This home has the ideal setup for multi family or rent out individual rooms. Features 2 bedrooms downstairs and 4 bedrooms upstairs, 2 kitchens and 2 laundry rooms. Located in Reche Canyon, safe and quiet neighborhood, easy access to 215 and 10 freeways. Fan of the 80's???? Honey stop the car, this is it!!! While there has been no upgrades since it's birth year, the home has been well maintained and is in very good condition. This is a perfect opportunity to come in and choose all the enhancements you prefer. This is a corner lot in a quiet pride of ownership neighborhood and overlooks the whole valley. 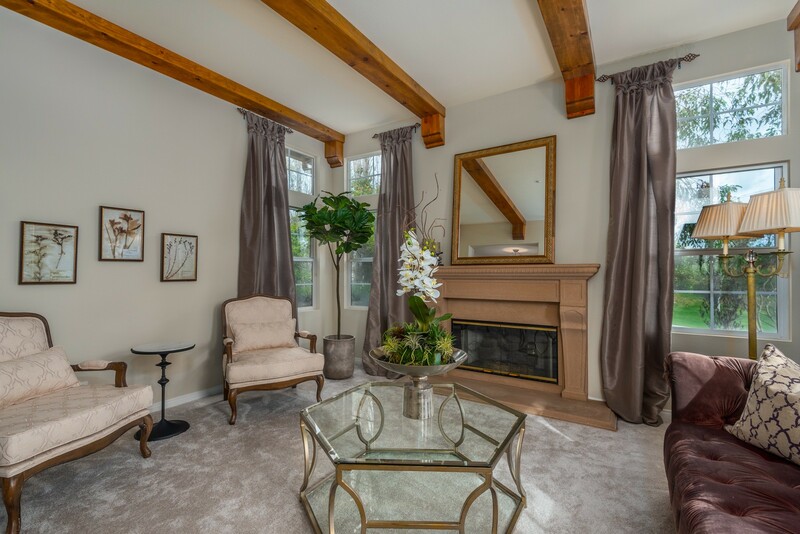 A couple of fireplaces to cuddle up to on those chilly evenings with a cup of hot chocolate or your favorite beverage and a nice relaxing balcony off the Master Bedroom for those Sunday morning coffee and paper reading events while viewing the local mountains. Let's let the pictures tell the rest of the story.......ENJOY!!! Beautiful and spacious 5 bedrooms 3 bathrooms home located in Chapman Heights. Large formal living and dining area with lots of windows for natural light. Easy to maintain tile floors downstairs, kitchen is open to the family with island, huge walking pantry and lots of cabinets and counter space. Family room has a fireplace, built in cabinets and a sliding glass door leading to the private back yard with no neighbors behind. Gorgeous views of the mountain. Downstairs has 2 bedrooms perfect for guest room, in laws or home office. Upstairs you will find a huge master bedroom with dual vanities, tub, separate shower and walk in closet. Laundry room is conveniently located upstairs so you don't have to drag laundry up and down the stairs. Home features an attached 2 car garage and is located on a quite cul-de-sac street. You don't have to worry about outrageous electric bills because the home has solar. Gorgeous 4 bedroom 3 bathroom home located on a large corner lot. Beautifully updated with hardwood floors (engineered wood) and tile downstairs. Large formal living-room with high vaulted ceilings, lots of windows for natural light and open to the dinning area with a sliding glass door overlooking the beautiful backyard. Windows have been replaced throughout the house, new carpet upstairs, updated kitchen with classic and timeless white cabinets, quartz counter tops and custom back- splash. Separate family room with fireplace and another sliding glass door leading to the large backyard with plenty of room for gardening, fruit trees and flowers. Home has a bedroom an updated full bathroom downstairs, perfect for home office, guest room or in-laws. Large master bedroom with walk in closet and updated bathroom with dual vanity. Home has a whole house fan, new interior paint, new light fixtures, lots of storage and closet space. Original owners, home has been well maintained, updated and cared for, so many features and benefits. No HOA, No mello-roos. One look and it will be love at first site. Entertainers Delight!! Beautiful East Highland pool & spa home! Features 4 bedrooms, 2.5 bathrooms. Updated kitchen w/ granite counter tops, subway title back splash, brand new stainless steel appliances, new carpet, new paint, ceiling fans. Open floor plan, large living groom with beautiful staircase, built in shelving, lots of natural lighting w/skylights, updated dual pane windows. Formal living room, formal dining room, kitchen is open to the family room, indoor laundry room, attached 3 car garage. Huge bonus room off the kitchen. Large master bedroom w/ dual closets and sinks. Mirrored closed doors for the 2 walk in closets, separate tub and shower. 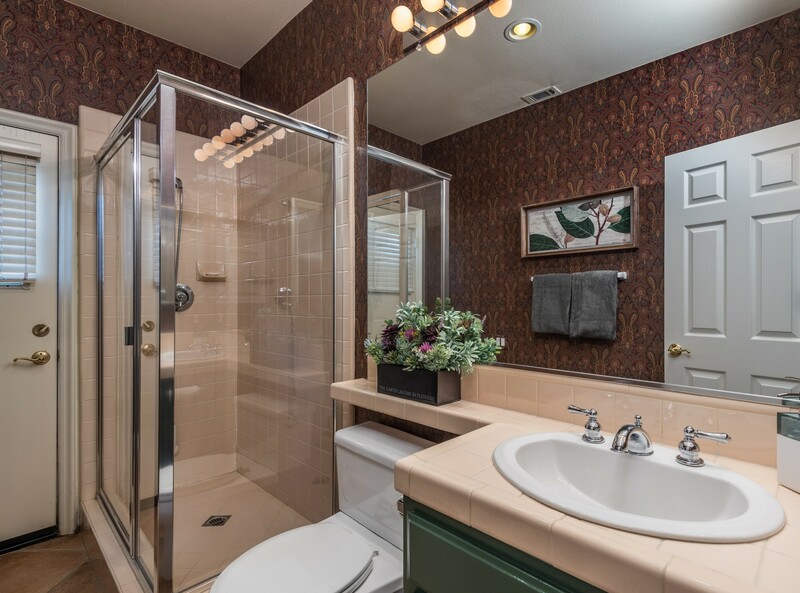 Large hall bathroom with dual sinks and separately enclosed tub and toilet makes it easy for multiple people to get ready, no more waiting in line for the bathroom. Home has plenty of storage space with lots of hall closets & cabinets. Gorgeous sparkling pool w/ blue rounded glass pebble tech, new slate coping on the sides, beautiful mosaic tiles with turtles and best of all it's automatic fill. Easy maintenance backyard w/ artificial turf, lots of fruit producing trees, blood oranges, bananas, pomegranates & avocados. Redlands school district, NO HOA, No Mello Roos!! This home is priced to sell! Beautiful Home! Features 4 bedrooms, 3.5 bathrooms, large living room, formal dinning room. Two master suites, one upstairs and one downstairs. Family room open to kitchen with island, granite counter tops, plenty of storage with a walk in pantry. Tropical back yard with pool, palm trees, covered patio. Storage shed in the back yard. Large 3 car garage, room for RV/boat parking. Upstairs features 3 bedrooms, 2 bathrooms and a loft/playroom. Large master bedroom with dual sinks, tub, separate shower, walk in closet. Indoor laundry room downstairs. Home is located walking distance to REV High School, Highly rated and desirable Redlands school district. Here is your chance to own one of the nicest lots in the highly desired Chapman Heights area of Yucaipa. This comfortable floor plan welcomes your friends and family into the large living & dinning room. There is space for everyone in the open kitchen with bar and kitchenette that looks out to the comfortable family room with fireplace. Walk outside and enjoy one of the nicest lots in the area! Relax and enjoy the summer evenings on your oversized back patio that is secluded by the mature landscaping. Take advantage of the extra bonus of this home; the huge side yard! This area is perfect for a private pool, swing set, trampoline, organic garden or an orchard; the possibilities are endless. Walk upstairs and you will find 4 bedrooms with a large walk in master closet, jack and jill bathroom, great floor plan with natural light and much much more. Don't forget the tandem 3 car garage, perfect location being close to parks, great schools, shopping, walking distance to the local coffee shop, restaurants and a gym. Walk to the community center with inside and outside basketball courts, baseball diamond, schools, movies in the park, parks, tennis courts, exercise classes and so much more. This house is waiting for you to call home! PRICE REDUCED! Seller Says to Sell it NOW! Looking for a Home with PRIVACY? This Gorgeous & Sophisticated Mountain Home sits amongst the Trees and has so many Quality Upgrades Throughout! Enjoy Your Morning Coffee Breathing in the Mountain Air & Fresh Smell of Pine Trees while Taking in the Views from the OVERSIZED ENTERTAINERS DECK! Built in 1999, this Home is Perfect for Full-time Living or as a Vacation Home. It even has a STUDIO ABOVE THE GARAGE that Can Be Used as a Separate Rental to Offset Your Mortgage Payment (Previously Rented out for $700/mth). Master Retreat has CUSTOM ROCK JETTED TUB and DOUBLE-SIDED FIREPLACE! Recently Painted Exterior and Interior, GRANITE COUNTERTOPS, Newer Sliders that Open to the Deck... Recently Updated Windows, Flooring, Bathroom... the List Goes on! So Many Upgrades!! And Don't Miss the Secret Room Hidden Behind the Door in the Laundry Room! Makes an Excellent Den or Office! This Gorgeous Home has LAKE RIGHTS too! Pool Table Included!! An entertainer’s dream! Welcome to this two-story home with a great back yard including a huge above ground pool with a deck for those hot summer days and hours of enjoyment; huge lot affording you the option for RV parking. There is a pond filled with fish with covered deck and seating. You can also practice your putting on your own green, so many fun things to consider! Just imagine, privacy and space in your backyard! This wonderfully improved home has an open feel, tile and laminate wood downstairs, a kitchen with granite counter tops and stained cabinets. Light and bright with volume ceilings, you will enjoy this floor plan boasting a separate living room and dining area plus a family room with fireplace adjoining the kitchen with double doors opening to the patio, pool, and huge lot! Other features include newer HVAC, water heater, shed and located in Redlands School District -Walking distant to Citrus Valley High School. Close to everything - Historic Downtown Redlands, the University of Redlands, the new Citrus Plaza shopping center, Loma Linda Hospital, VA Hospital and the Big Bear Mountains, truly a central location to do so much. Check out this wonderful home for yourself! Home has above ground pool and deck. Seller will have removed upon buyers request. Beautiful East Highland Ranch home that sits on a cul-de-sac yards away from a large brand new park. Walking distance from all amenities: Lake walking trails, pools, tennis, volleyball and basketball courts. This home offers 2032 square feet of living space. Formal living and dining area to include a fireplace. Kitchen features granite counters lots of cabinetry eat in area. Spacious family room. Downstairs bedroom with bath. Upstairs offers three bedrooms. Large master bedroom, two closets. Master bath with garden tub and shower combo. Two more rooms that are spacious and one has a walk in closet. Ceiling fans . Upstairs bath has combo tub and shower. New toilet. Storage cabinets for linens. Backyard features covered alumawood patio with ceiling fan and outdoor patio living set included . Completely fenced backyard. Great area for barbecues and kids to play. Bordered play area with wood chips, play set included. Two car garage to include laundry area. This is a must see home. Great location in East Highland Ranch. Beautiful home located on a large corner lot with two separate driveways, one for the garage and the other for the RV/Boat parking which is completely fenced in. Sought after single story, 4 bedrooms 2 bathrooms, open floor plan, with living room, family room, large kitchen with island, lots of cabinets for storage. Hardwood floors, updated recessed lighting, vaulted ceilings, some newer windows, french doors w/interior blinds off the kitchen/family room leading out to the beautiful back yard with covered patio. Huge master bedroom with shower and separate tub and french doors w/interior blinds. Updated light fixtures, ceiling fans, indoor laundry room and so much more. Home is located close to elementary school in the popular Las Colinas area. Gorgeous East Highlands Ranch Home Features 4 bedrooms 3 bathrooms, loft and a 2 car garage! Located on a huge premium lot, with no neighbors behind and plenty of privacy. Updated Kitchen with granite counters tops, stainless appliances, beautifully updated bathrooms. Large and open floor plan with high ceilings, formal living room, family room open to kitchen and sliding glass door going out to the gorgeous backyard with newer vinyl fencing, retractable awing patio cover, great place to relax or entertain. Plenty of room for pool, garden, kids and pets to play, fruit trees, sprinkler system etc.. Newer AC unit, newer electrical panel, window shutters. Beautiful and easy to maintain porcelain tile and bamboo wood floors, spacious master bedroom with walk in closet, dual sinks, and soaking tub and sliding glass door off the master bedroom with deck, of the gorgeous city lights views at night. One bedroom downstairs, perfect place for guests, in-laws or home office. This home is immaculate, beautifully updated and maintained. Great location walking distance to association pool, tennis court, play ground, club house, lake, the bridge and the shady walking trails. It's like being on vacation every time you come home to this resort like location. Located in the highly rated and sought after Redlands school district. If you're looking for a home with a large yard in the ranch, look no further! This lovely home is located in a very desirable part of the city and is a Pride of Ownership community. If the concept of a Tri-Level home has always been your dream home then this is the one for you. The home has good bones, just needs a little TLC. This was originally the model for the tract of new homes and does not have a garage. The garage still looks like the model home office. Close to freeways, schools, shopping and medical facilities. Let the pictures tell the rest of the story. Stunning 3197 sq. ft. Fairway Canyon Home With Tons Of Builder Upgrades! Open floorplan throughout. Beautiful formal living & dining room. Cozy great room with custom fireplace connects to large immaculate kitchen with stainless steel appliances, 5 burner stove, double ovens and walk in pantry. Downstairs also has ¾ bath and bedroom which includes custom queen corner headboard. Upstairs huge master suite and bath with spa soak tub featuring jets and inline heater, also two walk in closets. Upstairs bedroom being used as craft room includes built in work station with more storage underneath and built in shelving in closet. Large upstairs loft, walk in linen closet and even more storage under the staircase. Entire laundry room floor is a custom tiled wet room drain pan. Additional features: Split A/C unit, solid core doors, Whole house insulation including all interior walls, between floors and full garage insulation. Beautiful custom side gate, fully landscaped, low maintenance concrete patio and garden area. Oversized 3 car tandem garage, built in work bench and organization. Fairway Canyon Amenities: In Home High Speed Internet, 2 Pools, Spa/Hot Tub, Kids Splash Pad, Picnic Area, Gym, Playground, New Sports Park w/Doggie Park, Walking Trails. Close to Tukwet Canyon PGA Community Golf Course, Schools & Freeway. This is a MUST see Original Owner Smoke & Pet Free Home that has been loved & maintained. We are vets and love our vets, VA financing welcome!!! Highly desirable Rolling Hills neighborhood. This pool home has it all with an upgraded kitchen, vinyl windows, whole house fan and plantation shutters throughout. Large master suite offers custom built-ins, large walk-in shower, soaking tub, double sinks and walk-in closet. Low maintenance backyard perfect for entertaining with built in bbq, pool, and spa! NO HOA ~ NO MELLO-ROOS Just minutes from Ridgeview Elementary, Parkview Middle School, and the Yucaipa Community Park. Close to shopping and easy freeway access! Absolutely beautiful single story 3 bedrooms 2 bathrooms with a bonus room (could be a 4th bedroom or home office) 3 car garage located on a large corner lot on a cul-de-sac street. Home features an open floor plan with formal living and dinning room. Huge family room open to the kitchen with island, granite counter tops, custom back splash, lots of cabinets and counter space. Gorgeous backyard beautifully landscaped with lots of plants, trees and fire pit make this a great place to relax or entertain. Large master bedroom with walk in closet, double sink, tub with separate shower and a sliding glass door leading to the amazing backyard. Home features indoor laundry room, updated baseboards, new paint and so much more... One look and you will fall in love and will want to call this place your home. No HOA! Gorgeous Sundance Pool Home! This home has a custom pool, jacuzzi, and patio cover in the backyard. The inside has been beautifully painted and has many custom upgrades. This home boasts 4 spacious bedrooms and 3 bathrooms and has a very open and spacious floorpan. 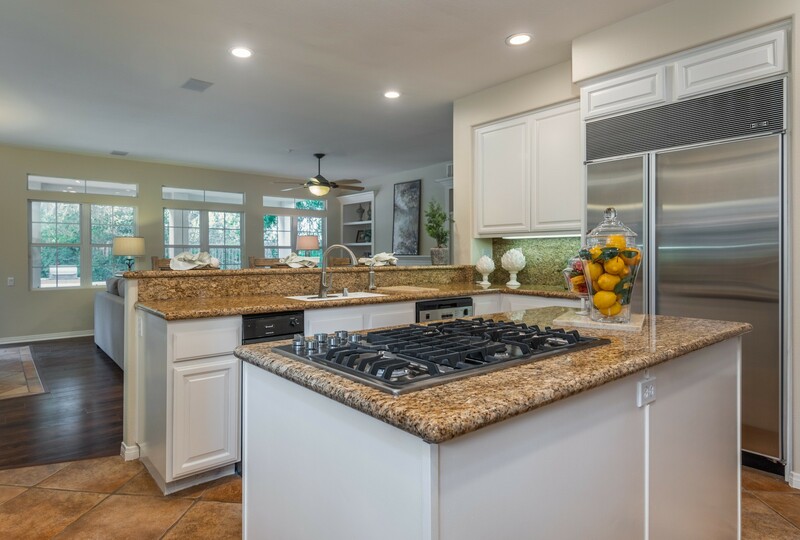 The kitchen is certainly the heart of this home with a large central island, granite counters, Stainless steel appliances and it over looks the beautiful pool. Beautiful landscaping all the way around the home including stamped concrete in the back yard and the home is right around the corner from the lovely park in the center off The Sundance community which offers a large park with children's playgrounds, picnic tables, BBQ's, grass areas and basketball court. Don't miss this beautiful and bright home with such beautiful custom upgrades. Move-in ready. WOW! This charming mountain cabin located in desirable Boulder Bay is only steps to the lake and increasingly popular Boulder Bay Park. Take or rent a kayak or a canoe and be in the water in minutes. Cozy up next to the fireplace adjacent to peek-a-boo lake views from the living room and deck. Enjoy the cool mountain air and listen to the sounds of the lake lapping up against the shore as you entertain family and guests from one of the two sturdy decks. An open floor plan connecting the kitchen, living room, and dining room will ensure everyone is together after a relaxing day on the lake or a powder day at the slopes. Incredible rental potential. Don't miss this one! Magnificent Views!! City Lights on one side and Mountain Views on the other!! Resort living in your home! This former model home features 3 bedrooms 3 bathrooms 3 car garage and a loft with built in home office. Updated Kitchen with granite counters tops, stainless appliances, beautifully updated bathrooms. Large and open floor plan with high ceilings, formal living room, family room open to kitchen and sliding glass door going out to the back yard with covered patio overlooking the association amenities (no neighbors behind) Updated windows, AC & furnace with whole house electric air cleaner, new carpet, new paint. Downstairs has terracotta tiles for that Spanish/Mediterranean flare. Spacious master bedroom with walk in closet, dual sinks, and soaking tub and sliding glass door off the master bedroom takes you to the deck overlooking the association pool, tennis court, play ground and club house. This is a great place to relax and enjoy the breathtaking views! Close walk to the lake, the bridge and the shady walking trails. It's like being on vacation every time you come home to this resort like location. First time on the market! 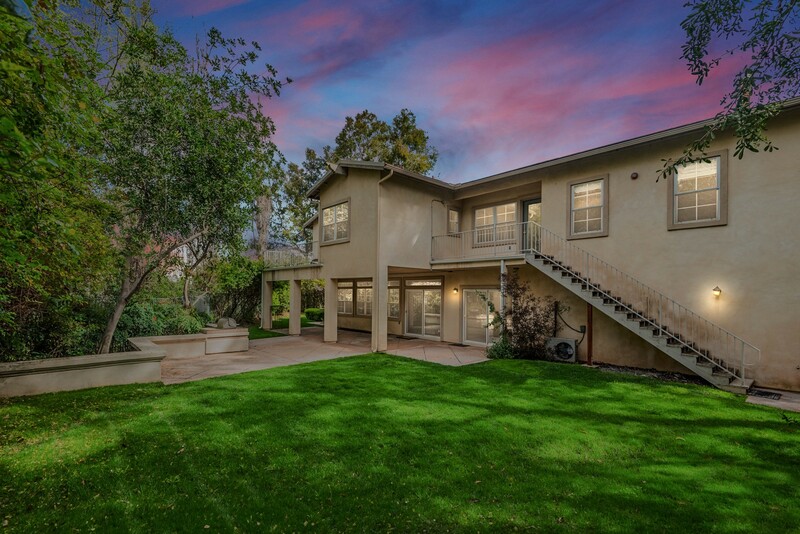 Located in the highly rated and sought after Redlands school district. Resort Style Living in this Beautiful 3 bedrooms 2 bathrooms, large living-room open to the kitchen. Attached 2 car garage with direct access, separate family room with brick fireplace and sliding glass door leading to the backyard. Home has been recently painted, easy to maintain laminate wood floors. You'll never need to go on vacation, this home is located in beautiful Canyon Lake Community which offers great amenities: parks, beaches, lake, golf, tennis, volley courts, senior center, country club, members only restaurant, gated community with a live security guard and so much more. Don't miss the opportunity to live in this sought after community. This 2 story home features 4 bedrooms, 3 bathrooms at 1961 SQUARE FEET. This home offers many upgrades: Large open floor plan, BRAND NEW: A/C unit & furnace, window screens throughout the home, weather stripping on exterior doors, curtains in living & family rooms. NEWER KITCHEN: dishwasher, and gas stove, the refrigerator (included), ceiling fans in family room, and bedrooms 2 & 3! The kitchen opens to the family room with a fireplace, bedroom/office/ or den with adjoining ¾ bathroom convenient for your guests. The indoor laundry room with storage cabinets. The 3 car garage has plenty of storage. Preferred backyard privacy & view with covered patio, outdoor electrical outlet on back porch, gas lines installed & inspected by So. 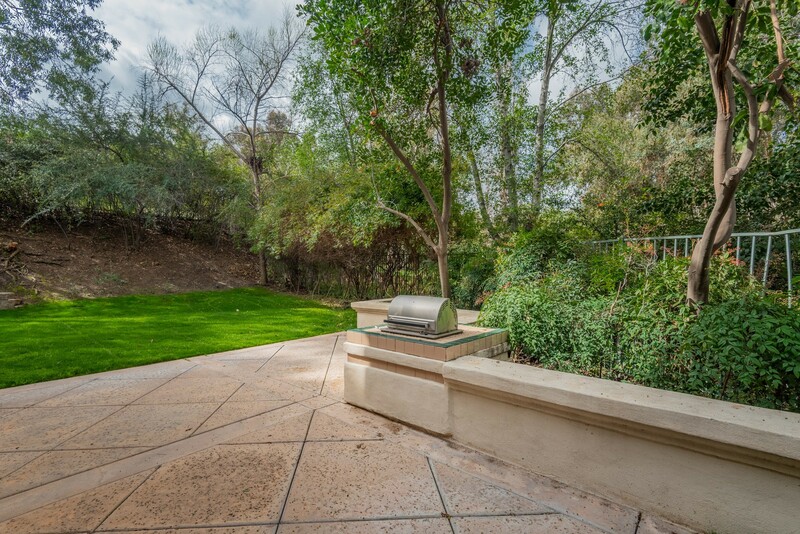 Cal Gas ready to install outdoor kitchen & hot tub where you'll be able to host wonderful gatherings. HOA provides pool, picnic area, and playground. You are only minutes away from schools, major freeways, nearby shopping and restaurants. This home offers everything you need, & it's MOVE IN READY! MUST SEE TO APPRECIATE! Absolutely Gorgeous! This Spanish Mediterranean features 4 bedrooms 2.5 bathrooms, 3 car garage located on 32,670 sqft (3 quarters of an acre) Large living room with fireplace, newer windows for lost if natural light and french doors leading out to the spa. Formal dinning room, large updated kitchen with classic white cabinets, grey granite counter top, beautiful white back splash and new stainless steel appliances. Beautiful real hardwood floors throughout the house, 3 large bedrooms (4th bedrooms used as a home office) walk in closets, lots of built ins and plenty of storage, indoor laundry room, large pantry. Wrap around patio on the front and back yard. Huge back yard with plenty of room for garden, pool, kids and pets to plenty. There is plenty of parking, room for RV or boat and there's a separate workshop. Home is located on a beautiful tree lines street in the Park View Manor Estates. This home is truly one of a kind, don't miss it. Beautiful single story home! Features 3 bedrooms, 2 bathrooms, 3 car garage. Located on a large corner lot with fenced in boat or RV parking. Spacious formal living room with double sided fireplace, separate family room open to the kitchen, beautiful tile floors in entry, family room & hallway, large master bedroom with walk in closet, tub and separate shower. Bedroom has sliding glass door leading to the perfectly manicured yard. Long lasting aluminum patio cover and fence. New AC and furnace, new water heater. Surveillance system, window shutters, large indoor laundry room with cabinets, garage with built in cabinets for more storage. Winner of multiple awards for city beautification and holiday decor. This home is beautifully kept and shows price of ownership! Call today! This home will not last. Live close to LA and enjoy a Mountain community with few neighbors. There are some nice high end homes in this area. The price includes 13 parcels with an average square footage of 2,800 each. tax ID numbers 2845-024-003,004, 006, 007, 008, 009, 016, 017, 018, 019, 020, 021, and 023. Based on the County and the fire department building codes you need 5 to 6 parcels to build each single family home. This is a Well and Septic area. Buyer is advised to confirm they can use the property for their intended use. this is a great opportunity for speculation building with the current housing market on the climb up. Seller may be open to selling 4 lots in a bundle. Welcome to 1225 E Central Ave in Redlands. Charming Early Century Redlands home in a great location, within walking distance to University of Redlands and Sylvan Park! This 1918 home has Craftsman Bungalow elements, along with a large covered front porch buttressed by columns, extended eaves with exposed rafters, double-hung sash windows, and a half-story extending up above the side-gabled roof. 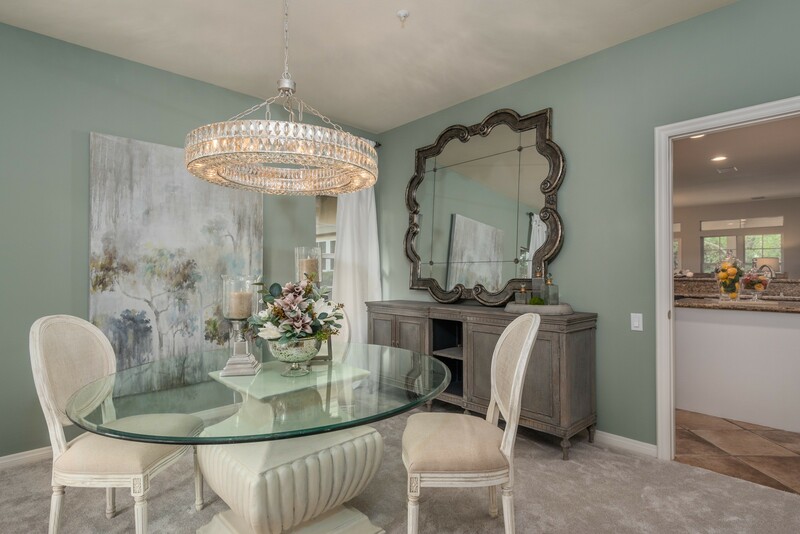 Entertain company in the formal dining room, and have family dinners in the eat-in kitchen. Wide wood casing around the doors, amazing hardwood flooring and the double-hung sash windows impart the Craftsman style within. The period-style kitchen has newly painted original cabinets, breakfast nook, a view to the backyard, and a walk-in pantry. Original doors and hardware throughout. The main floor bathroom has wainscot walls with a footed soaking tub and separate shower. Two bedrooms downstairs and a spacious bedroom upstairs. New central HVAC installed, newer roof, other updates, large laundry room and attached garage. The hallway leads to the back covered deck with a large private backyard with trees, plants, grassy area and a small above ground pool. This is a lovely home in a great location; close to: parks, schools, shopping, and freeway access. You won’t want to miss out on this beautiful home. It’s in a great location just minutes away from the freeway and grocery stores. This 3 bedroom 2 bath home has 2 fireplaces, a sky light and a covered patio. The kitchen has plenty of cabinets with a trash compactor and dishwasher. Just needs a little TLC. Welcome to Canyon Lake! Resort Style Living in this Beautiful 3 bedrooms 2 bathrooms, large living-room open to the kitchen. Attached 2 car garage with direct access, separate family room with brick fireplace and sliding glass door leading to the backyard. Home has been recently painted, easy to maintain laminate wood floors. You'll never need to go on vacation, community which offers great amenities: parks, beaches, lake, golf, tennis, volley courts, senior center, country club, members only restaurant, gated community with a live security guard and so much more. Don't miss the opportunity to live in this sought after community. Beautifully updated 4 bedrooms 2 bathrooms single story with attached 2 car garage and a large backyard. Conveniently location close to schools, shopping and 91 freeway. Home has been updated with all new laminate wood floors, new paint, new bathroom vanities, new light fixtures, and new stainless appliances. Open floor plan with spacious living room open to the kitchen. This home is beautiful and will not last!! Absolutely beautiful Pool Home!!!! 4 bedrooms 3 baths home located in the foothills. This gorgeous home offers a private and spacious courtyard, large driveway with RV/Boat parking. Attached garage with direct access. Home has been beautifully updated, newer dual pane windows. Beautiful kitchen with plenty of light and counter space, whole house fan. Resort living back yard with new awning/patio cover, pool and spa, huge yard with plenty of privacy make this the perfect place to relax or entertain. Home sits on over a quarter of an acre. Formal living room with moldings and custom base boards, separate family room, formal dining room. Bedroom and bath downstairs, perfect for guests or office. New water softener, reverse osmosis water filter. Huge master bedroom with walk in closet, lots of storage cabinets and balcony to enjoy the views and your morning coffee. This home is truly a must see. Don't wait, it will not last. Charming 3 bedroom 2 bath home located on a huge lot of 12,632 sqft. Features an open floor plan with a gorgeous fireplace, brick wall and wood beam ceiling. Lots of windows for natural light. Remodeled kitchen with timeless white cabinets and granite counter tops. New roof, fresh interior paint, easy to maintain and beautiful laminate wood flooring throughout the house. Located walking distance to Magnolia Center Riverside shopping center. This home is move in ready! Absolutely gorgeous home! located in the desirable 55+ active senior living communities Four Seasons built by K. Hovnanian Homes. This is the Colonnade Collection Sanctuary floor plan, featuring 2 bedrooms 2 bathrooms and a den, 1738 sqft of living space, attached 2 car garage. Home features tons of upgrades, beautiful ceramic tile throughout, crown moldings, custom window shutters, granite counter tops, stainless steel appliances including refrigerator and washer/dryer, tankless water heater. Open floor plan with a large kitchen open to den/family room, huge walk in pantry, lots of cabinets and counter space, granite counters and plenty of storage. Large laundry room with built in cabinets. Ceiling fans throughout the home. Landscaping in the front and back yard, concrete walkways and patios, two covered patios with long lasting aluminumwood and fencing. Home is located walking distance to association amenities which include: gated with security guard, lodge with a resort class pool, ballroom, bistro, theater room, billiards, salon, tennis, paddle ball, bocce ball, pickle ball, fitness center, walking trails, indoor pool. Recreation center with gym, sauna, pool, spa, table tennis/ping pong, putting green. There's also a bistro and restaurant on site, you never have to leave this beautiful place, this is the ultimate living! This home is spotless and better than new. Close to shopping, medial facilities, Cabazon outlet and Morongo casino. PRICE REDUCED! SELLER SAYS SELL IT! 5 Bedroom Home on 1.41 ACRES with LAKE RIGHTS!! Wow!!!! Enjoy the Picnic area Overlooking the Stream in your Front Yard. So Peaceful! 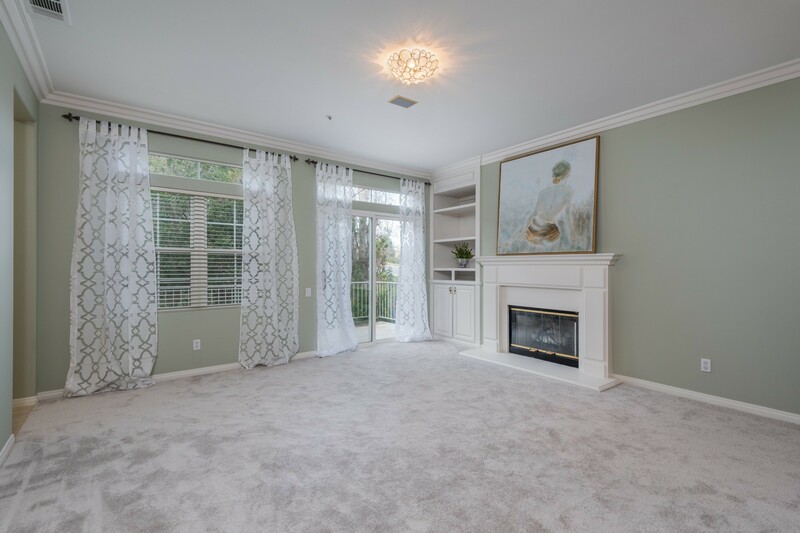 Hardwood Flooring throughout the Living Areas, Beautiful Fireplace, Cathedral Ceilings! Even a One-Car GARAGE! Close to Blue Jay for Shopping and Restaurants. 3 Bedrooms & 2 Baths on the Main Level, 3 Additional Rooms and a 3/4 Bath Upstairs. Room for Everyone! Come and See this Fantastic Home Before it is GONE!! (See Plat Map in Pics - This Property Sits on Lot 2 and borders a stream! The Lot is along most of street on the righthand side) ZONED FOR 6 HORSES!! Beautiful and spacious 4 bedrooms 2 bathrooms (4th bedroom is being used as family room) detached 2 car garage, located in the beautiful city of Redlands. Home features a large living room open to the beautifully updated kitchen with granite counter tops, modern wood like tile floors, new carpet in the bedrooms, ceiling fans, indoor laundry room, stainless steel appliances, salt water filtration system. Recently installed solar panels, no cost to the buyer. Home is fenced in for additional privacy, large back yard with brick fireplace make this a great place to entertain or kids and pets to play. Plenty of room for garden with built-in raised beds on a drip system, 2 avocado trees, pear tree and apple tree on a drip system. Sprinkler system front and back yard. Located in the sought after Redlands school district, walking distance to downtown Redlands, parks etc.. Beautifully remodeled 3 bedroom, 2 bath Pool Home with a spanish flair. New Kitchen with white cabinets, granite counter tops, beautiful hardwood floors, new paint, new baseboards, new windows and window shutters, new roof, new plumbing. Spacious living, galley kitchen open to the family room going out to the beautiful backyard, perfect place to enjoy the summer in the pool and entertain your friends and family. Home offers an attached 2 car garage with direct access, master bedroom with walk-in closet, pool house, ceiling fans in every room and so much more! Brand NEW!! Never Lived In ! Beautiful 3 bedrooms 2 bathrooms, bright and open floor plan with lot of windows for natural light. Attached 2 car garage (424 Sqft) with direct access to the house. Home sits on a huge lot of 9,735 sqft with potential to add a second unit. Features a large covered porch in the front, great place to relax. The interior has beautiful laminated wood floors, window blinds, large kitchen with expresso shaker cabinets, granite counter tops, stainless steel appliances, lots of cabinets and counter space. Convenient indoor laundry area, spacious bedrooms, insulated interior walls, tankless water heater, 9 ft ceilings and so much more... Custom Built! One of a Kind Home, Perfect layout for Entertainment, Families or anyone who enjoys space. Convenient location: walking distance to shopping, restaurants, schools and churches. Located in the sought after highly rated Redlands School District! This beautiful three bedroom two bathroom home does not disappoint and is truly a must see! Built in 2018 by Pardee Homes the craftsman ship and quality is truly recognizable. This energy efficient gem has been well maintained and still sparkles and smells of new construction. With tons of upgrades inside and out you will be amazed at what this home has to offer. From granite counter tops, stainless steel appliances, stainless steel sink, dual pane windows, upgraded flooring, USB charge stations, recessed lighting, shelving in the laundry and closets, tankless water heater, water softener and so much more. This home sits on a unique lot with a spacious, private back yard complete with an Arizona room. The extra insulation and ceiling fan prewire will help keep you cool on a hot summers day. The community has an oversized pool, Pool showers, park areas, BBQ's and an overall feeling of safety. Look no further! Your home awaits you. Beautiful Two Story Home Now Available In The Prestigious Tournament Community! The Home Is Move-In Ready! This home is Ready for Another Family to Enjoy. The Downstairs Features Open Floor Plan, Big Kitchen With Plenty Of Cabinet Space & Stainless Steel Appliances. 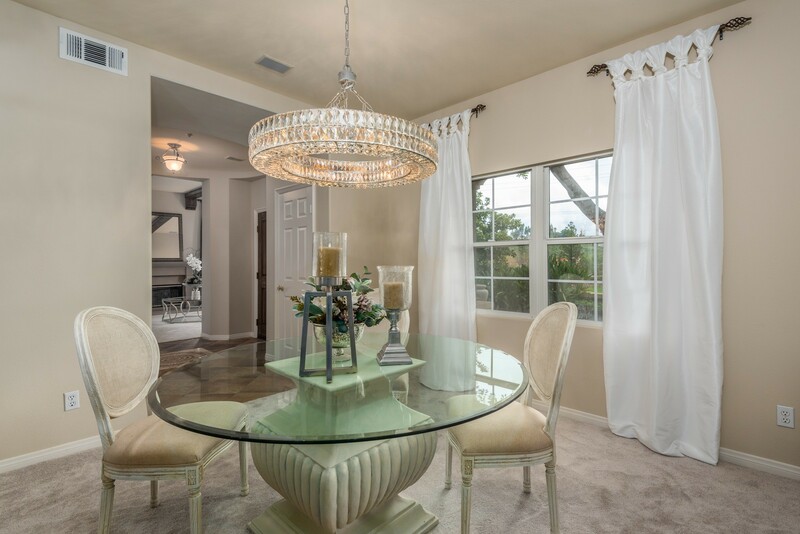 The Living Room & Dinning Room Combo Are Great For Family Gatherings! Very Convenient Downstairs Bedroom & Full Bath! The Upstairs Features A Large Master-bath With Spacious Closet & Master Bath. The Other 2 Bedrooms Upstairs Are Very Spacious. The Backyard Is Great For Entertaining With Built in Patio Cover With Ceiling Fan. This gated Community Offers Great Amenities Such As A Park, Private Pond, Walking Trails,Views Of The Golf Course & Beautiful Mountains! Welcome Home!! 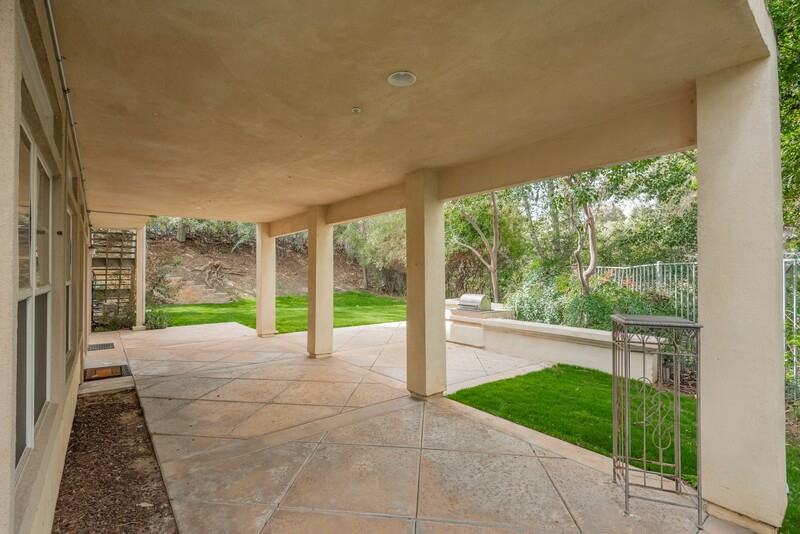 This absolute gorgeous Fairway Canyon home is turnkey and shows real pride of ownership!! There is nothing needed to do except move in your furniture. 3 bedrooms and 3 baths. The floor plan boast a formal living room and formal dining are as you enter the home. You will be impressed the second you open the door! The kitchen is beautiful with granite counter tops and back splash. 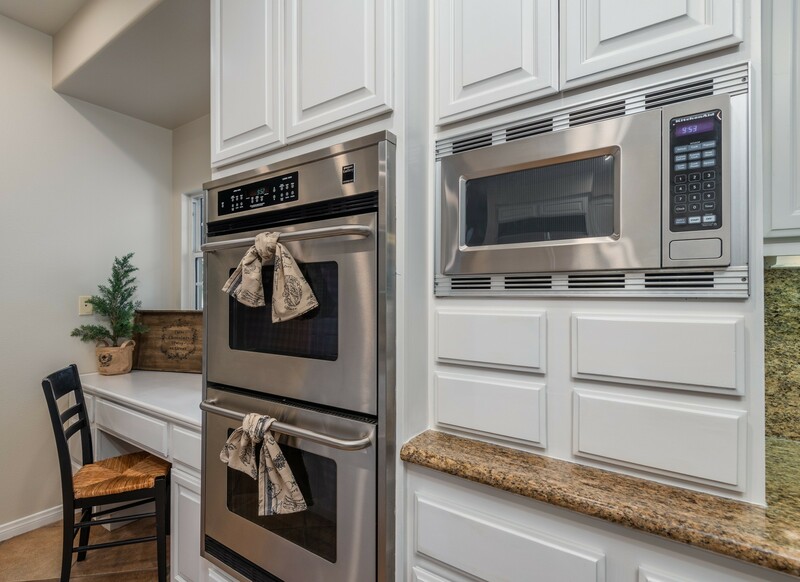 The double ovens will make celebrations and entertaining a breeze. The kitchen is open to the family room with the cozy fireplace and to the privater backyard with covered patio, pre-wired speakers and ceiling fans. With no neighbor behind, this makes this backyard truly a private paradise! There is an additional dining area off the kitchen that can be used as a breakfast nook or even an office. All of the bedrooms are upstairs. along with a loft area with built-in bookcases. The master bedroom is ample and has lots of closet space with his/hers closets.The other bedrooms are good sized, too! Got cars? You won't want to miss all the storage this home has with a 3 car tandem finished garage. Store your boat right in the garage!! And with the additional 2-car covered carport, there is plenty of room for your vehicles and toys!! This home has too much to list, but make sure not to miss it!! Check out the VIRTUAL 3-D WALK-THROUGH LINK!! Fairway Canyon amenities include a gym, a recreational pool and lap pool. spa, clubhouse, dog park and internet service to home!! HURRY THIS ONE WON’T LAST! Welcome home to this COMPLETELY RENOVATED MODERN MOUNTAIN ESCAPE. This incredible 3-STORY RETREAT has been transformed with GREAT ATTENTION TO DETAIL and features a bedroom and a bathroom ON EVERY SINGLE LEVEL! GREAT CURB APPEAL, MULTIPLE PARKING AREAS and a 16x16 DECK will have you falling in love before you even get out of the car! The formal entry is off the 2ND STORY but a CONVENIENCE ENTRY off the driveway will get you inside quick. The entire lower level was gutted and BEAUTIFULLY REDESIGNED - you have to see it! The kitchen was WONDERFULLY TRANSFORMED with NEW ESPRESSO CABINETS as well as GRANITE COUNTERTOPS and TILE BACKSPLASH that compliment them perfectly. WHIRLPOOL APPLIANCES finish off the space and will have you ready to start cooking ASAP! OPEN-BEAM VAULTED CEILINGS in the living room are highlighted by KNOTTY PINE and a 2ND FIREPLACE - a truly stunning space. SERENE FOREST VIEWS are seen from all sides but are particularly magnificent from the kitchen, deck and picturesque dining room window. 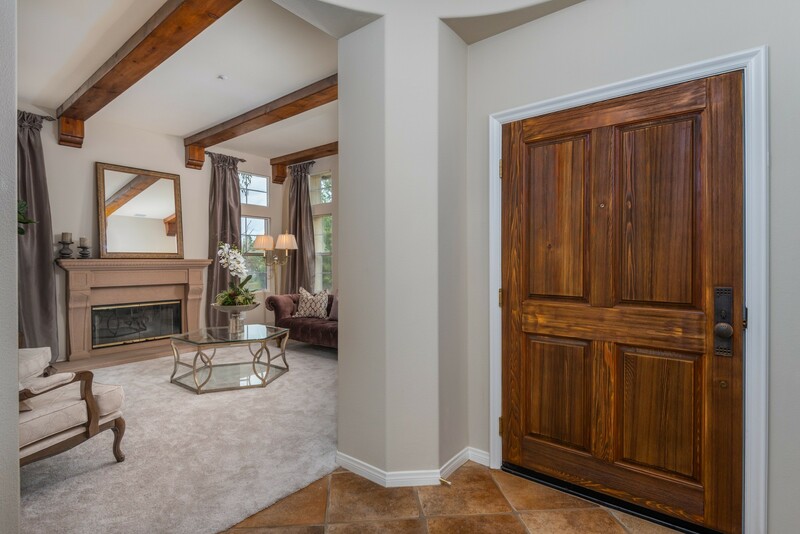 BARN DOORS THROUGHOUT and INDUSTRIAL LIGHTING showcase just how much detail was put into making this home special. NEW SEPTIC TANK and DUAL-PANE WINDOWS have been installed and so much more - too many improvements to note. Located far enough from the hustle and bustle of busy So Cal yet only 4 miles from Crestline and 15 miles from the bottom of the hill. A must see home where MOUNTAIN CHARM meets MODERN CHARACTER! Schedule a private showing today! Absolutely adorable house nestled in the San Bernardino Mountains with Lake Rights!! This 3 bedroom 2 bath home opens to a spacious living room that features a cozy fireplace to sit by and relax on those cold crisp nights. The kitchen looks out to the dining and living area which is great for entertaining. The main floor has 1 Bedroom and 1 bathroom with indoor laundry. The upstairs includes 2 bedrooms and 1 bathroom. The large master bedroom includes a small deck off the side perfect to sit and enjoy a good book or cup of coffee. The backyard features a very large deck that is surrounded by the beautiful trees and forest. Make this your weekend getaway or full time residence. Situated on a large lot this home is move in ready and a must see! Super cute 3 bedroom 2 bath single story home located close to elementary and middle schools. This homefeatures a completely fenced in yard with rod iron lockable fencing in the front for added security. There is a drive through garage which offers more covered parking space for 2 additional vehicles. The patio cover is large enough for entertaining and enjoyment. Very sweet orange tree and room for the kids to play or large even for a pool. Nice sized living room, galley style kitchen and good sized bedroom with large closets. The master bedroom does have it's own bathroom with a toilet and sink. The A/C was upgraded about 2 years ago. Solar panels were also installed to help with the electricity bill. Close to freeway access and shopping. Great location for this price! All financing welcome and would be great for first time buyer programs. Welcome to East Highlands Ranch! This gorgeous 4 bedroom/3 bath home has panoramic views from almost all rooms. Whether enjoying the views from your master bedroom balcony or the kitchen, this home offers privacy and scenery! The living area is spacious and the kitchen opens up to the family room area. This is perfect for entertaining or being near family while cooking. The bedrooms are all generous sizes and there is a bedroom/bathroom downstairs. This community offers tennis, a pool, spa, children play area, hiking trails, etc. Be sure to show today, your buyer's will love this home and community! Beautiful 3 bedrooms 2.5 baths, large living room with lots of windows and fireplace. Living room is open a beautiful and timeless white kitchen with stainless steel appliance, lots of cabinets, counter space and large pantry. Attached 2 car garage with direct access, home features new carpet, new paint, new light fixtures, new ceiling fans, newer AC unit. Large backyard with covered patio and a storage shed for additional storage. Convenient location just East of the 210 freeway, close to shopping and schools. NO Association! No Mello Roos! Gorgeous Pool Home!! Huge backyard with covered patio, outdoor lighting. Pool is fenced in and safe for kids. Spacious 3 bedrooms, 2 baths, beautiful kitchen with granite counter tops, custom designed back splash. Formal living room with fireplace, dinning room, spacious family room, gorgeous and easy to maintain hardwood floors throughout the house. New dual pane windows, beautiful wood beam ceilings. attached 2 car garage. Large master bedroom with sliding glass doors leads to a second deck overlooking the pool. Home sits on an oversized lot of 11,680 sqft located on a beautiful tree lined street. UPDATED and MOVE in READY! New carpet, New tile floors, New kitchen cabinets, Granite counter tops, New interior and exterior paint. Open floor plan, kitchen is open to the living room. Located on a large corner lot, attached one car garage. TWO Houses on ONE lot! The front house is a 3 bedroom, 2 bath. It has been completely remodeled, from tile flooring to a brand new roof! Other amazing upgrades include: brand new kitchen cabinets with quartz countertops, tankless water heater, new dual pane windows, new carpeting, recessed lighting, and brand new electrical and plumbing throughout the WHOLE house. The list goes on and on! The back house features a 1 bedroom, 1 bath with a fresh coat of exterior paint. Both homes have their own separate yard with brand new fencing. The street is lined with beautiful, mature trees. The property is only a couple minutes away from San Bernardino Valley College, San Manuel Stadium and Costco. Beautiful 3 bedroom, 2 1/2 bath home in the award winning community of Sundance in the Elara Track. This home has brand new waterproof engineered laminate downstairs, kitchen has stainless steel appliances &large island with granite. Three bedrooms and two full baths upstairs with a walk-in closet in the master and your laundry room is also upstairs for your convenience. Extra concrete has been added to this home on the driveway, on both sides of the home and on the back patio. All the landscaping is done, no worries - just move right in! Beautiful Wildwood Canyon Yucaipa Home. 3 bedrooms 2.5 baths, spacious living room, family room open to kitchen. Updated kitchen with granite counter tops, plenty of cabinets and counter space. Updated bathrooms, title floors down stairs for easy maintenance. Attached 2 car garage with large driveway with room for boat/RV parking. Home is located on a corner lot on a cul de sac street. Beautiful back yard with rose bushes, fruit trees, covered patio, this is a great back yard for entertainment or kids and pets to play. New interior and exterior paint, beautiful landscaping in front and back yard. Additional sqft in the large bonus room! NO Association! No Mello Roos! Beautiful Village Lakes Home!! Single story 3 bedrooms 2 baths, open floor with vaulted ceilings, fireplace in the living room, sliding glass door leading out to the backyard with plenty of room for kids and pets to play or even plant a garden. Attached two car garage with direct access, indoor laundry, mirrored closet doors. Enjoy the association amenities: relaxing lake, pool and spa for those hot days and cold nights. HOA offers additional parking for your RV. Home is located in the sought after Redlands school district, easy access to the 210 freeway and close to schools and shopping. MUST SEE MURRIETA GEM! Sitting in a PREFERRED LOCATION within the POPULAR NORTH OAKS COMMUNITY, you will find this home EXCEPTIONALLY WELL CARED FOR, INCREDIBLY CLEAN and COMPLETELY MOVE-IN READY. The interior hosts a BRIGHT AND INVITING LAYOUT sure to satisfy. Downstairs is the living room, dining room, kitchen and a guest bathroom while upstairs you will find the MASTER SUITE with ATTACHED BATHROOM, SEPARATE WATER CLOSET and WALK-IN CLOSET, 2 additional bedrooms, another bathroom and laundry area. Interior features include everything you would expect to find in a recently built property such as CENTRAL HEATING AND AIR, GRANITE COUNTERTOPS, DUAL PANE WINDOWS, RECESSED LIGHTING and CEILING FANS. Improvements include CUSTOM PLANTATION SHUTTERS, UPGRADED WOOD LAMINATE FLOORING and INTERIOR PAINT. Additional features include an ATTACHED TWO CAR GARAGE, AUTOMATIC GARAGE DOOR OPENER and PRIVATE PATIO. The unit itself is CONVENIENTLY LOCATED within steps of all community features including the POOL, SPA, BBQ AREA and PLAYGROUND while the complex itself is CENTRALLY LOCATED near AWARD-WINNING SCHOOLS, THRIVING WINERIES and GOLF COURSES as well as an abundance of SHOPPING, DINING and CONTINUED DEVELOPMENT – all signs of an incredibly PROSPEROUS COMMUNITY! Last but certainly not least, REASONABLE HOA DUES allow for a low-maintenance lifestyle while protecting your investment and community. We invite you to view this home today and make it your own before the busy summer season hits. MUST SEE BEAUMONT BEAUTY! Sitting on a CORNER LOT within the POPULAR SUNDANCE COMMUNITY, you will find this home to have a UNIQUELY SPACIOUS AND FUNCTIONAL FLOORPLAN. INSTANT CURB APPEAL will have you falling in love before you even get out of the car! The interior hosts a very BRIGHT AND INVITING LAYOUT to include an OPEN-CONCEPT LIVING/DINING/KITCHEN AREA, DOWNSTAIRS BEDROOMS, DEN & LOFT (both counted as bedrooms per assessor’s office). Interior features include everything you would expect to find in a recently built home such as CENTRAL HEATING AND AIR CONDITIONING, DUAL PANE WINDOWS, RECESSED LIGHTING, KITCHEN PANTRY, CEILING FANS, INDOOR LAUNDRY, GAS FIREPLACE and PLENTY OF STORAGE. Improvements include CUSTOM WOOD BLINDS, FULL LANDSCAPING, CONCRETE PATIO and ALUMAWOOD PATIO COVER. Additional features include an ATTACHED TWO CAR GARAGE, AUTOMATIC GARAGE DOOR OPENER, IRRIGATION and a BUILT-IN SAFE. You will find this home EXCEPTIONALLY WELL CARED FOR, INCREDIBLY CLEAN and COMPLETELY MOVE-IN READY. The home is CENTRALLY LOCATED near AWARD-WINNING SCHOOLS and MULTIPLE COMMUNITY PARKS as well as SHOPPING, DINING and CONTINUED DEVELOPMENT – all signs of an incredibly PROSPEROUS COMMUNITY! Last but certainly not least, a LOW HOA protects your investment and community! We invite you to view this home today and make it your own before the busy home buying season begins! Absolutely Beautiful Village Lakes Home!! Single story 3 bedrooms 2 baths, new carpet, new interior paint, new light fixtures, new recessed lighting, ceiling fans, updated kitchen with granite counter tops and stainless steel appliances, new sink and faucet. Open floor with vaulted ceilings, fireplace in the living room, sliding glass door leading out to the backyard with covered patio and plenty of room for kids and pets to play or even plant a garden. Easy to maintain tile floors, master bathroom has been updated with vanity and quartz counter top. Attached two car garage with direct access, indoor laundry, mirrored closet doors. Enjoy the association amenities: relaxing lake, pool and spa for those hot days and cold nights. HOA offers additional parking for your RV. Home is located in the sought after Redlands school district, easy access to the 210 freeway and close to schools and shopping. This home is turn key and move in ready! Beautiful ranch style home located on a Huge lot of 14,080 (1/3 of an acre) ZONED COMMERCIAL! Office Professional or Multi Family (up to 3 Units on this Lot) Circular driveway with plenty of parking and room for RV, attached two car garage with direct access. Home features 3 bedrooms, 2 bathrooms, open floor plan, new carpet, new paint, new beautiful laminate wood floors. Classic and timeless white kitchen cabinets and counter tops. Lots of windows for natural light. Covered patio in the backyard with outdoor eating area Convenient location walking distance to shopping and church. Easy access to the 215 and 10 freeways. Move in Ready!! Single story 3 bedrooms 2 full bathrooms, beautifully updated kitchen with timeless white cabinets, dark grey counter tops, built in microwave, with plenty of storage and counter space. New tile in the bathrooms, new paint (interior and exterior) ceiling fans throughout the house. Indoor laundry area, spacious living room, dinning room. Huge bonus room with separate entrance, perfect for home office or guest room. Home sits on a huge lot of 10,220 sqft with fruit trees and flowers, plenty of room for kids and pets to play. Large side yard with room for boat/RV parking. Storage shed and a craftsman lawn mower is included. Property completely fenced in for extra privacy. Convenient location close to shopping and 10 freeway, with less than 50 miles to Los Angeles make this the perfect, affordable home for commuters and everyone else. Beautiful turnkey home - obvious pride of ownership. Within walking distance to San Jacinto Academy. Next-to-no yard maintenance, nicely landscaped and has artificial turf in front yard. Beautifully upgraded kitchen w/ island that seats two, and large area for your dining table and china cabinet. Spacious master suite with walk-in closet, master bath has double sinks, large shower, private toilet and custom storage bench for your bath linens and dressing. Fourth bedroom has double doors and makes a great home office. Exterior security system with 8 cameras and flatscreen in office for monitoring. Home also has an alarm system, if buyer wishes to renew contract. RV ACCESS: 30+ feet (buyer to verify), with 50 amp breaker. New 50-gallon water heater. This home is somewhat private in that it has only one neighbor. County's catch basin is on one side, and land behind is vacant. Kitchen and master bedroom have sliding glass doors to back yard - back yard has large patio, flower beds and plants, and only needs your finishing touch. 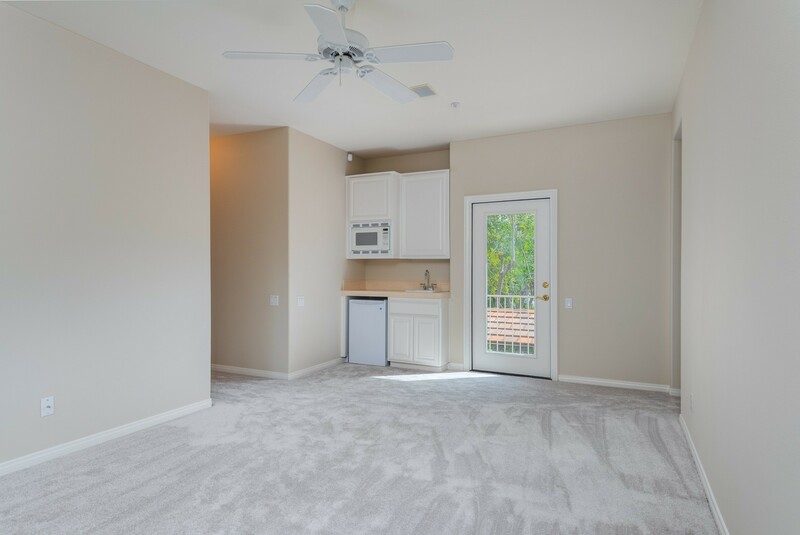 On the way to the 3-car garage, check out the big laundry room with cabinets and wash tub! Gates on both side of home - one for pedestrians and one for your RV. Home is on a solar lease with an easily assumable agreement. First year monthly payment is $80.41 and at 20 years, payment is $114.99, saving you $$$! This is your chance to own a beautiful home on a well-treed lot only minutes from the slopes, golf course, zoo, and everything else that Big Bear has to offer. Barbecue or go for a dip in the spa from one of the large back decks with peek-a-boo slope views or cozy up near one of the two fireplaces that this home has. Experience premium mountain living for one of the best prices in Moonridge. Move in Ready!! New carpet, New Paint, New kitchen Cabinets and beautiful granite counter tops. New vanities and counter tops in the bathrooms, home offers a detached 1 car garage, spacious and private side and backyard. Great open floor plan with open tall vaulted ceilings and one bedroom downstairs. Hurry this won't last!! Gorgeous two-bedroom, two bath newly remodeled home in a quiet beautiful community. This home offers wood flooring in large living space. Open floor plan with beautiful remodeled kitchen with quartz counters and new stainless steel appliances, including microwave and fridge. Kitchen also has eat in breakfast nook and bar. Two nice sized bedrooms, one of which is the master with remodeled master bath. Guest bath has beautiful new tiled shower and bath. Large separate laundry room and pantry with sink and counter. Just off the laundry room is an office/craft room with access to your beautiful entertaining backyard. The backyard offers gorgeous easy care landscaping with a pool, to cool off on those hot summer days. Nice-sized covered patio with TV for entertaining family and friends or watching those games. Seller is looking for a reasonable off, lets make a deal. THIS LAND HAS IT ALL AND IS WAITING FOR YOU! VERY NICE TWO ACRE PARCEL IS LOCATED CLOSE TO THE BEAUTIFUL MOUNTAIN COMMUNITY IN IDYLLWILD CA. IT HAS STUNNING VIEWS ALL AROUND ! PADS HAVE BEEN CONTOURED-CUT AND ARE READY FOR YOUR DREAM HOUSE TO BE BUILT. AN ADDITIONAL PAD IS AVAILABLE FOR A POSSIBLE OUT-BUILDING OR LARGE DETACHED GARAGE. GRACIOUS SPACE FOR BOARDING HORSES AND OFF ROAD TOYS. THE LAND ALSO FEATURES MATURE TREES AND GREAT SOIL FOR GROWING A LUSH, FABULOUS GARDEN. TO SUPPORT OUTSIDE IRRIGATION NEEDS, A WELL THAT PUMPS 17 GALLONS PER MINUTE OF FRESH MOUNTAIN WATER AS WELL AS 3 FOUR-THOUSAND GALLON STORAGE TANKS HAVE BEEN INSTALLED FOR WATER SUPPLY. THERE ARE FRENCH DRAINS THROUGHOUT THE PROPERTY AS WELL AS ADDITIONAL DRAINAGES PUT IN PLACE SO THAT WATER FLOWS AROUND THE PROPERTY AND THROUGH THE CANYONS. SO ARE YOUR THINKING OF ESCAPING THE CITY LIFE TO A QUIET PLACE SURROUNDED BY NATURE? COME ON UP AND SEE WHAT THIS LAND HAS TO OFFER YOU. LOOKING FOR PRIVACY? This Home is on Almost a HALF AN ACRE! Sitting up on a Hill... So Peaceful, So Quiet! (Additional 12,490 sf lot available for sale $15k next door if you'd like more space!) Cozy Living Room w/NEW HE Gas Fireplace Insert, Master Bedroom on the Main Level, Nice Deck to Enjoy the Fresh Mountain Air! Just FRESHLY PAINTED this Month! NEW CUSTOM COLORED (Never Needs Paint!!) HARDI BOARD SIDING Not Quite Completed, But Seller Offering Credit to Finish the Work! Level Entry from New Driveway. New Milgard Dual-Paned Windows, New Water Heater, plus More! Enjoy Watching the SNOW From the Den with Deck on the Upper Level! This Home Has Such a Cozy Feel! Come By and See! You Will LOVE IT!! Absolutely BEAUTIFUL!!! This home has been renovated! Bright and open floor plan, brand new Kitchen, timeless white shaker cabinets, quartz counter tops, custom backsplash, new paint inside and out, new light fixtures, new window blinds, new tile floors, beautifully refinished hard wood floors. New tile in the bathroom with custom design, new cabinets & counter tops in bathrooms. Gorgeous kitchen with large island, open to the living area, plenty of cabinets for storage. New baseboards and crown moldings, new ceiling fans. Home has new Central Air and Heat, detached 2 car garage and so much more... Located in the popular N End Area! One look at this home and you will fall in Love! Won't last! One story 4 bedroom 2 bath home on a quiet street. This home has so much potential, with a little TLC it can be the perfect place to call home. Welcome to Fernwood. The complex has gated entry. This spacious 2 bedroom/2 full baths end unit is just what you've been looking for. End units yield additional privacy. Located on the second floor with elevator and stairs access. This open floor plan features a large living room and dining area that's warm and welcoming with the fireplace for your cooler days/evenings. Your kitchen allows for you to have space for all your prepping, cooking and entertaining. Right through the slider is your very private balcony for outdoor living, the grounds are so pretty and well kept. It's a great place to unwind and take in nature. The bedrooms are spacious. The bath areas are roomy. You are assigned two covered ground floor parking spaces. The community has a pool/spa, sauna, tennis courts, fitness room and clubhouse. Water, trash, sewer and outside maintenance are included in the HOA. You're in walking distance, only blocks away form Downtown Redlands where there are eateries, shopping and entertainment. Don't forget about the Redlands school district. A great opportunity at home ownership! Price reduction........Single story home, over 1,000 sqft of living space. Cozy living area, 2 bedrooms 1 bath home. Located in the heart of San Bernardino. Property features newer flooring, custom paint walls, bathroom and fixtures. Kitchen is large enough for entertaining and windows are all upgraded. Spacious single story ranch located in 1.25 acres of flat usable land. Home features 3 bedrooms, 2 bathrooms, new carpet, new paint, detached garage, circular driveway, property is all fenced in. Open floor plan, living with fireplace, family room, formal dining room or use it as a home office. Large indoor laundry room, plenty of parking, for boats, RV and cars. YOUR DREAM PROPERTY IN REDLANDS! This amazing lot features: 1.09 acres of pre grated land; Nearly half has been grated with an existing pad, electrical, water and gas is at the street. 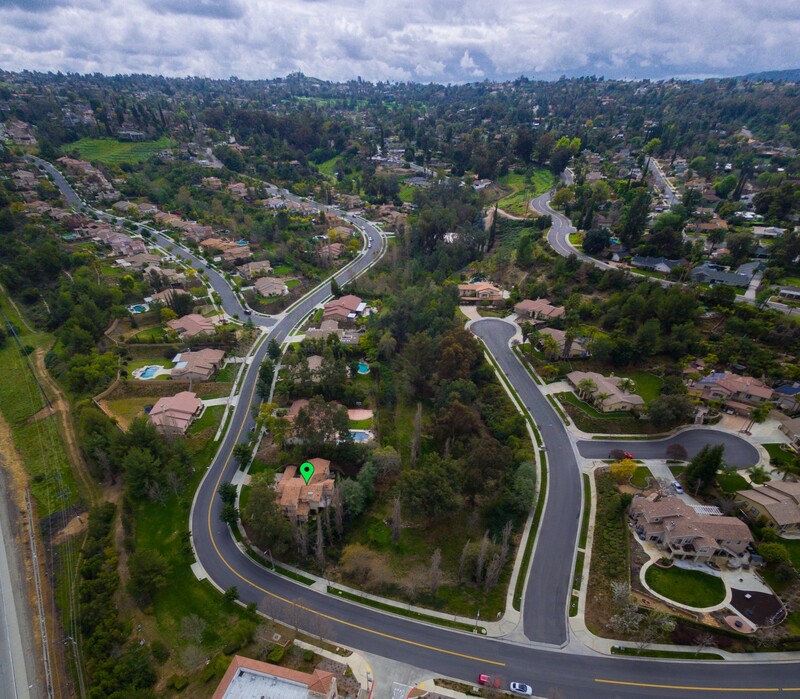 Fantastic location is at the top of the cul-de-sac in one of the best spots in South Redlands. From the pad you actually look over the top of Redlands Hospital and see the city lights! Don't let this property get away! Prime south Redlands property suitable for your dream estate. Finally, the Golf Course Home you have been waiting for! Enjoy this highly desirable One-Story open floorpan located on the 7th green with relaxing patio views of the Golf Course and nightly sunsets. As you enter the home, you are greeted with an over-sized living room that flows into the kitchen and family room. Imagine yourself cooking or relaxing in the family room while enjoying your golf course views. The master bedroom has it's own set of sliding doors that lead out to the picturesque and tranquil back patio. Excellent floorpan for hosting large family events and dinners. Homeowner is including Refrigerator, Washer, Dryer, and Living Room Television. Sun Lakes is a very desirable 55+ community with amazing amenities that include Clubhouses, 3 Swimming Pools, Social Functions, Golf-Course, Restaurant, and Tennis Courts all with a 24-hour guarded gate. Exceptional price for Golf Course living! Beautiful Home! Spacious single story features 3 bedrooms, 2 bathrooms, attached 2 car garage with direct access. Beautifully updated kitchen with granite counter tops, new sink, new lighting, timeless white cabinets, new tile in the hallway, kitchen and bathrooms. New paint inside and out, nicely restored original hardwood floors, updated bathrooms with new white vanities, new cabinets, new lighting and ceiling fans. Home has a large yard 7,200 sqft lot with plenty of room for kids and pets to play. Covered patio, great place to entertain. Convenient location, walking distance to shopping and easy access to freeway. Here's your chance to buy an affordable home in Loma Linda! One look and you'll fall in love! Absolutely beautiful Home! Open floor with spacious living room, lots windows, recessed lighting, new baseboards and crown moldings. Gorgeous kitchen with new white cabinets, quartz counter tops and white subway tile backslash. 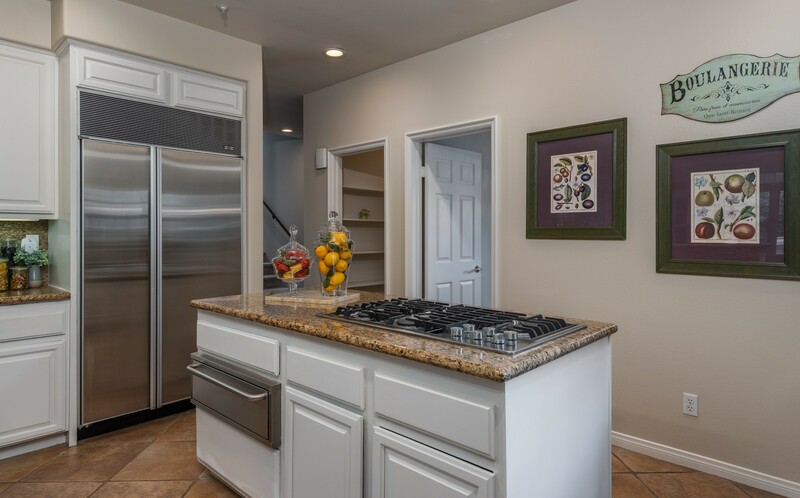 Kitchen offers a large pantry, lots of cabinets, plenty counter space and all new stainless steel appliances. Home features newer windows, new central air and heat, all new light fixtures, new laminate wood in the living room, carpet in the bedrooms and tile in kitchen and bathroom. New paint inside and out, new doors, new door handles, new mirror closet doors and ceiling fans in the bedrooms. Gorgeous custom cabinet and tile work in the bathroom, large indoor laundry room and detached garage. Home sits on a huge lot of almost 10,000 sqft with lots of room to add on, garden, kids and pets to play or even put a pool. Located in the highly sought after Redlands School district and easy/convenient access to the 10 freeway. Fixer upper. Home needs restoration. Great potential in this charming home in a neighborhood where many homes are being restored. Close to downtown and Redlands High. Many original features. RELISTED WITH NEW AGENT & NEW REDUCED PRICE!!! Welcome to Resort living at Sun Lakes. A Private Country Club, 55+ age qualified community. NICE CORNER LOT with Beautiful Mature Trees. This is 2 Bedroom, 3 Bathroom Home with a SPACIOUS LOFT. There is FRESH NEW PAINT, BRAND NEW FLOORING and Baseboards throughout. Enter through the front door and you will be greeted with a large entryway, living room and dining room combination. This Home has plenty of windows to allow light in. Continue toward the family room were you will find a Cozy Fireplace, Kitchen with a Breakfast Nook. The sliding glass door off of the Kitchen Nook will lead you to your Great Fenced Backyard. Enjoy your morning coffee or an evening glass of wine under your covered patio. Enter back through the another sliding glass door off the patio into your Master Suite. This large room has a large closet, and attached master bath with walk-in shower and over-sized vanity with dual sinks. Walk out the master suite, across the hall to the 2nd Bedroom. This room has an attached full bath with an enclosed tub. Now head upstairs where you will find an open Loft which could be a THIRD BEDROOM. Just off the loft is the 3rd Bathroom with an attached Finished Room, great for storage. Includes ALL Appliances. Sun Lakes Country Club - 3 Clubhouses 2 Restaurants, Bar & Lounge, TWO 18-Hole Golf Courses & Pro Shops, Tennis, Salt Water Pools, Jacuzzi. Do not miss your opportunity to live like you deserve. Beautifully updated 3 bedrooms 2 bathrooms! New white shaker cabinets and granite counter tops in the kitchen. New Bathrooms! New Carpet in bedrooms and laminate in living room. Home also has a large bonus room, huge back yard and fenced in front yard. If you are looking for a large lot (13,504sf) with room for your toys that is not in a HOA or Senior development, this is the property. The tax roles show the property as 1944 sf. However when it was placed on the property in 1972 new, the first owner added 600 sf additional living room. The current owner put a hard roof over the whole structure about 20 years ago.There is a small storage structure in the back detached, however it is more storage space than a usable garage. There is granted alley access to the back of the property. Pride of ownership!! Beautiful 3 bedrooms 2 baths with Bonus/Family room or use it as an office. Home has been updated with dual pane windows, window shutters, 5 ton AC unit. Huge living room open to the formal dinning room. Sliding glass door overlooking the gorgeous back yard with flowers and fruit trees. Large covered patio for shade and a great place to relax or entertain, plenty of room for pets and kids to play. Also has fenced in dog run. Home has 2 fireplaces, large bedrooms with Jack & Jill bathrooms, mirror closet doors, tile in the hallway for easy maintenance. Spacious attached 2 car garage. This home is spotless and beautifully maintained. MUST SEE!! This is a standard sale. Adorable Home!! Features 2 bedrooms, 2 bathrooms and bonus room currently being used as a 3rd bedroom. Home has an open floor plan with laminate wood floors, spacious living room open to the dining area and kitchen. Kitchen has new counter tops, bathrooms have been remodeled with tile floors. Large in door laundry room, fenced in yard, garage has been converted into living space/studio apartment, possible rental income. Covered front patio/porch is a great place to relax and have your morning coffee. Home sits on a large lot of 7,738 sqft. Large drive with plenty of room for parking, RV or boat and all your toys. Convenient location close to shopping and freeway. Spacious 3 bedrooms 1.5 bathrooms attached 1 car garage. Kitchen and bathroom have been remodeled in the last few years. Living-room features fireplace and large windows for natural light. Home sits on a large lot with a huge backyard. Great curb appeal with nicely landscaped front yard. Ductless unit for AC and heat and 2 additional wall heating units. This home shows well, in good condition and it's priced to Sell! ADORABLE Mountain Cabin in the Woods! Newer Home, Big Windows, Open & Airy! Brand New Carpet, Just Freshly Painted! CUTE, CUTE, CUTE!! Make Lots of Memories Here! One of the Lowest Priced Homes on the Market in the Villas! Don't Miss it! LOVE BIG WINDOWS & Lots of Light? Enjoy Your Coffee While Soaking in Those PINE TREE VIEWS! You've Gotta See This One!!! Just a Few Steps Down to this Cute Mountain Retreat... Open Living Areas, Bedroom & Bath on the Main Level. Downstairs are 2 More Bedrooms with a Jack & Jill Bathroom. Deck Recently Rebuilt, New Paint Inside & Out, Some New Flooring. Great Location CLOSE TO THE LAKE and Can't Beat the Neighbors! Make Sure to See This One! You Won't Regret It! PRICED TO SELL! Adorable 3 bedrooms 1.5 bathrooms, spacious living open to the kitchen, convenient indoor laundy, attached one car garage, large driveway with room for boat or RV. Home features a huge backyard with all kinds of fruits trees with plenty of room to add on or garden. Beautiful 4 bedrooms 2 baths attached 2 car garage. Spacious and open floor plan with new kitchen cabinets, granite counter tops, beautiful laminate wood floors, new paint, newer windows. Home is a single story located on a large lot, convenient location close to shopping, walking distance to Cabot's Pueblo Museum... This home is update and Move in Ready! This 4 bd 2 ba home is located in a peaceful neighborhood of Banning. Completely remodeled. The home is remodeled. Great for a first time home buyer. Great size backyard for entertaining. Great Income Property, this quadruplex features 1 unit with 3 bedrooms 2 baths and 3 units with 2 bedrooms 1 bath. Each unit has 1 car garage, common coin laundry room and private patios. Property is conveniently located close to the 210 freeway and shopping. This is bank owned and sold as is. This business opportunity is only seconds away from Lake Gregory and located on one of the busiest corners of Crestline. Don't miss this opportunity to get seen by customers and clients in this extremely convenient and high profile location. This building also has a large living space upstairs including a kitchen, a living room, and a few bedrooms that could be lived in, used as additional offices, or a large break room. Whatever the use of this building, the location can't be beat. Single family home with a warehouse in the back, plenty of parking with room for cars, boats etc. Property backs up to the to I-10 Freeway. Great visibility!! House has been updated with new kitchen cabinets, granite counter tops, new carpet, new paint. Updated bathroom with new cabinet, titled shower. Move in ready! Endless opportunities! Property is zoned commercial/industrial, buyer to verify all information. BEAUTIFUL home located in the 55+ Peacock Valley Community! MOVE-IN-READY with new interior paint, newer vinyl windows and newer A/C. Enclosed patio provides additional living space. Private backyard with a storage shed. Close to shopping, restaurants, San Gorgonio Hospital and easy freeway access. South Facing Downstairs unit with Patio available now! Two Bedroom unit enjoys laminate flooring throughout which includes Washer & Dryer and Refrigerator. Assesor shows 727 Sq. feet; Buyer to complete their inspections. Visit the unit today and see why this gated community near Cal State San Bernardino with it's Gym, pool and BBQ amenities is perfect for you. Welcome to Palm Desert Greens, a highly social 55+ and older community offering golf, tennis, basketball, community clubhouse. 24 hour manned security gated community. Home features a spacious 2 bedrooms, 2 bathrooms, fences in yard and covered carport, new carpet, new paint. Spacious 3 bedroom home located on a private driveway. Remodeled kitchen, laminate wood floors, cozy brick fireplace in the living room. Large back yard with plenty or room for garden, or kids and pets to play. Beautiful 2 bedrooms, 2 bathrooms, attached one car garage located in the 55+ community of Valle Hermosa. Home has been updated with new kitchen, granite counter tops, new carpet, new paint. This home is Move In Ready! HOA fee is a low low fee of $62.21 per year just $5.18 a month. Newer windows, large private back yard, covered patio. This is affordable and move in ready. Beautiful 2 bedrooms 1 bath condo. Upstairs unit located in a gated community with pool and spa. Private balcony off the living room sliding glass door. Great views from all the windows. Home has been updated with new carpet, new tile, new paint, new stainless steel appliances, granite counter tops, plenty of storage with a walk in closet/pantry. Vaulted ceilings, open floor plan, spacious bedrooms with mirror closet doors and with a jack & jill bathroom. Seller just lowered price wants a reasonable offer. Get out doors and bring the toys this one is off the grid. Located on the corner of Meridian Rd and Brussels Rd. No utilities in this area. Owner is open to carry with 30% down for 5 years. Marabella Condo complex. This one bedroom, one bathroom is on the bottom floor and close to the entrance. Kitchen opens up into the living room. One car garage with direct access from the kitchen. Great investment opportunity awaits. HOA offers many amenities including pool, 24 hour security. Enjoy the panoramic views of the Inland Empire and surrounding mountains from one of the most picturesque and peaceful lots in the Mountain Shadows park! Situated near the pinnacle in a quiet cul-de-sac, this beautifully-maintained home features vaulted ceilings, original wood laminate floors, and vast amounts of natural light. The spectacular wooden deck is the perfect place for family gatherings or your morning coffee and faces the morning sun. The kitchen shines with bright white cabinetry and appliances. Next to the kitchen, you will find interior laundry hookups as well as a private office nook. The roomy master suite includes walk-in closet and en-suite bathroom as well as separate bathtub and shower enclosure for convenience. Each of the guest bedrooms is large enough to be used as a den or hobby room. The one-car garage features ample storage opportunities, and the position in a hilly corner lot allows the home to be surrounded by flowers and trees. The community offers a plethora of amenities, including a clubhouse hosting many events as well as a lounge and a kitchen, a hobby house, a gorgeous pool area with relaxing chairs and a view, a BBQ area, jacuzzi, a well-equipped fitness room, and on-site RV parking. One of two 40 acre parcels with water rights and road access from Oak Glen Rd. Or Snowline Via Pisgah Peak Rd. MILLION Dollar Views in all directions. Endless possibilities for development, agriculture, etc. Look for the big yellow tractor...that's the land. Tractor included. Both parcels must be sold together. See listing for APN 0325-011-16 DO NOT ATTEMPT TO ACCESS VIA WILDWOOD CANYON. This is PRIVATE PROPERTY! One of two 40 acre parcels with water rights and road access from Oak Glen Rd. Or Snowline Via Pisgah Peak Rd. MILLION Dollar Views in all directions. Endless possibilities for development, agriculture, etc. Look for the big yellow tractor...thats the land. Tractor included. Both parcels must be sold together. See listing for APN 0325-011-18 DO NOT ATTEMPT TO ACCESS VIA WILDWOOD CANYON. This is PRIVATE PROPERTY! Adorable 2 bedroom mobile home in the lovely 55+ Hillcrest Community in Yucaipa. Large open floor plan all alliances included even the washer and dryer so this home is move in ready. Corner lot with a good size yard and full length covered from patio, 2 sheds, Master retreat has its own bathroom with a beautifully upgraded shower this home is a must see. Community Features for the residents, a shuffle board room, billiard area, card room a pool, spa and even a sauna! All with a very affordable space rent!!! The foundation and water connecttion are worth more than the asking price, sellers lose your gain. This lots comes with the hill side foundation in place and new plans to rebuild approx. a 1,200 sqft home (plans need to be updated). Only a short drive to Arrowhead Country Club and the Lake. Build your Mountain resort retreat and vacation rental income property. You save on the cost of foundation, water and sewer are already in place. Buyer is advised to verify with the City and county they can develop the site for their intended use. Build your beautiful home in a quite neighborhood. Within 3 miles of Walmart Supercenter, Victor Valley College and Mojave Narrows Regional Park. Close to most of your favorite fast food chains. Land to West of property is also for sale. Build your beautiful home in a quite neighborhood! Within 3 miles of Walmart Supercenter, Victor Valley College and Mojave Narrows Regional Park. Close to most of your favorite fast food chains. Land to East of property is also for sale. This property is zoned Commercial General 1 which is very broad zoning. Allows for retail trade and personal service, lodging office and professional services among many other compatible uses. Buyer to confirm with the City of San Bernardino on utilities, permits and zoning uses. .6 acres in Oak Springs Valley area of Pinon Hills with a view. Owner may consider carrying with 40% down payment, terms to be negotiated. Can be sold with parcel # 3036-281-32-0000 for $42,500. Parcel 0449-161-43-0000 is 5 Acres. Located in Unincorporated San Bernardino County in the area of Lucerne Valley. Zoned LV/RL-5, dirt road Visalia Ave frontage which gives access. Flat buildable lot. Great investment opportunity. Pinon Hills property in Oak Springs Valley. Near Hwy 2. Enjoy the convenience of commuter friendly Hwy 138 and the Wrightwood mountains. Owner says water meter at property. Most homes are custom in this area. Apple Valley offers a country style of living, this property is 1.26 ac with a water available to the parcel, already paid by the Seller. Property is just out side of the City limits. Pinon Hills property in Oak Springs valley area near Hwy 2. Enjoy the convenience of commuter friendly Hwy 138 and be only minutes away from the Wrightwood mountains. Owner states water meter at property. half acre lot in Oak Springs Valley area of Pinon Hills. Owner may consider carrying financing with 40% down payment, terms to be negotiated. Can be sold with APN # 3036-281-33-000 (Listed for $29,000.). If sold together price is $42,500. Seller wants the property sold, bring a reasonable offer. Get up out of the lower desert and still only be 30 minutes from Palm Springs. Rural area allows you room for the toys and animals. Parcel 204-132-08-00 in California City. Pinon Hills property in Oak Springs area. Hear Hwy 2, Enjoy the convenience of commuter friendly Hwy 138 and the Wrightwood mountains. Can be sold with APN# 3036-371-15-000 (listed for $9,900) for a package price of $19,500. Pinon Hills property in Oak Spring Valley area. Enjoy the convenience of commuter friendly Hwy 138 and the Wrightwood mountains. Can be sold with APN# 3036-371-16-0000 (listed for $11,900) for package price of $19,500. Stellar location and views! Minutes away from Loma Linda University Medical Center. Exquisite property includes Swimming Pool, 3 bedrooms, 3 baths, 2,470 sq. ft. Open Floor plan, mid century custom built home with outstanding panoramic views of the Loma Linda and entire Valley. Landlord provides landscaping, internet and monthly pool service, pool maintenance and pest control. Stunning 2 bedroom, 2 bathroom condo on the golf course in the 55+ gated community of Sun Lakes. No corner was untouched in this completely updated and remodeled condo...new custom kitchen with Thermador/Bosch appliances, custom cabinets, marble counter tops. New bathrooms, flooring, paint and plumbing. Wake up every morning and have coffee on your private covered patio. Later in the day take advantage of all Sun Lakes Country Club has to offer...golf on the PGA private course, swim or play tennis, hang out with friends in the clubhouse, walk the beautiful trails or join one of the many community clubs. After a full day come back home to this lovely sanctuary and cozy up on the couch in front of the fireplace. Come see your new home today! Refrigerator, Washer and Dryer, two TVs and beautiful teak patio furniture and grill included in rental. No pets and no smoking please. 25 mins to Palm Springs, 15 mins to Cabazon Outlets & Morongo Casino.